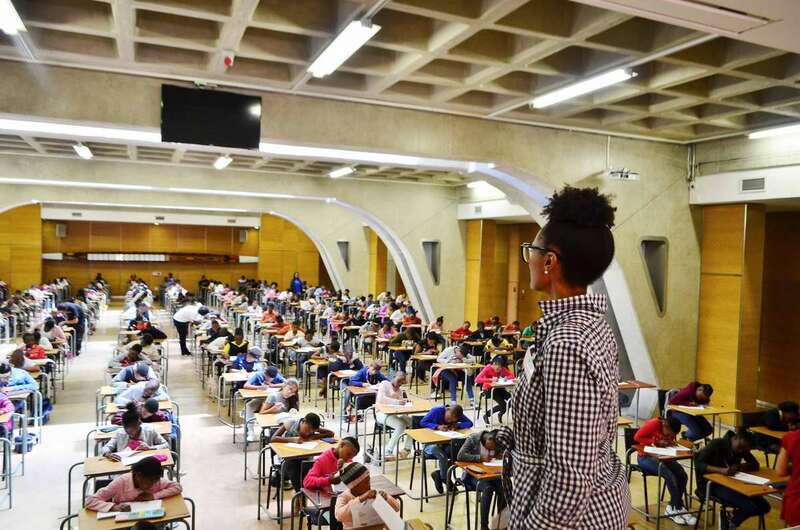 SSP Executive Director Nozizwe Vundla watches over the prospective Scholars as they write their entrance exams at St John's College. 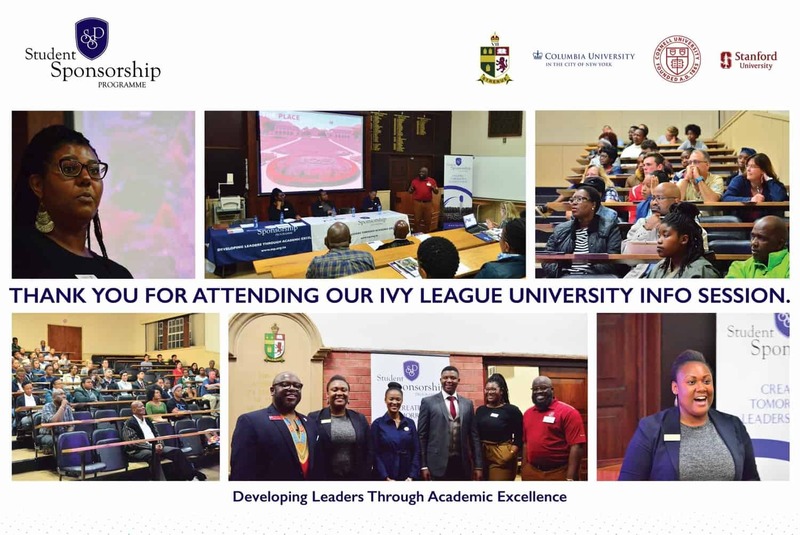 Femi Ogundele, Shawn Felton, Whitney Green and Devon Jones of Stanford University, Columbia University in the City of New York and Cornell University talk to students at the SSP Ivy League+ Briefing held at King Edward VII School. 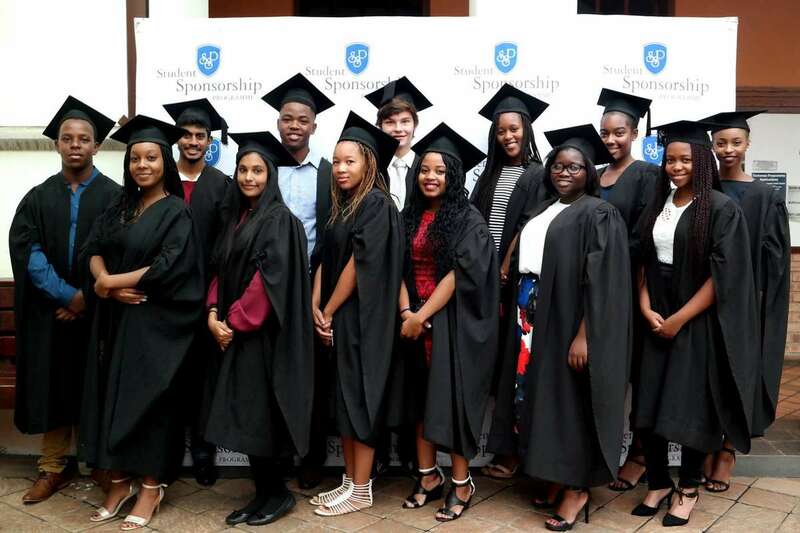 We so very proud of our SSP Class of 2017. 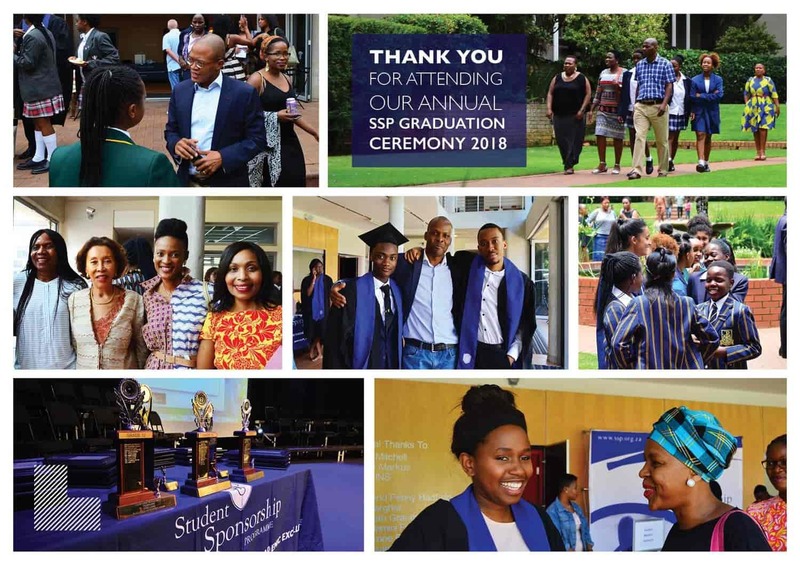 Thank you to all the SSP Family for celebrating this day with us. 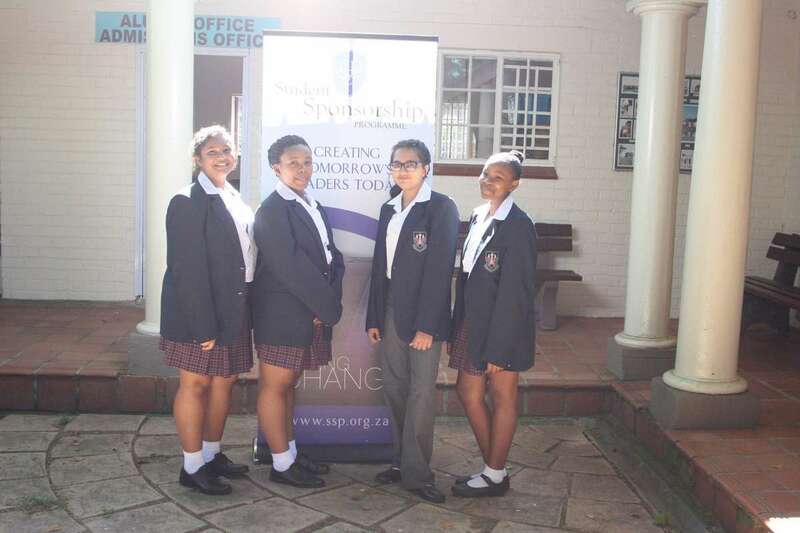 Family and Friends of SSP we would like to Thank you so much for taking the time to join us on our Orientation day for the newbies. 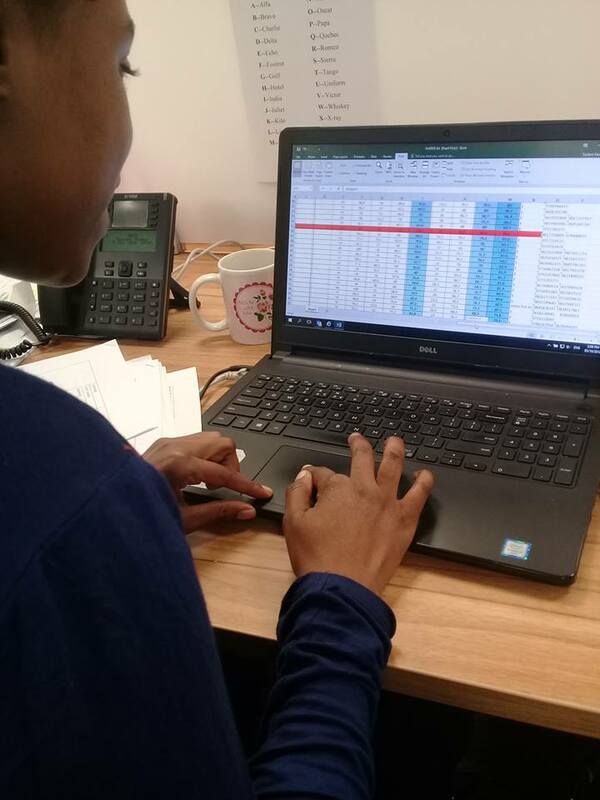 Recruitment Officer Taulani Mudau hard at work shortlisting potential SSP Scholars. 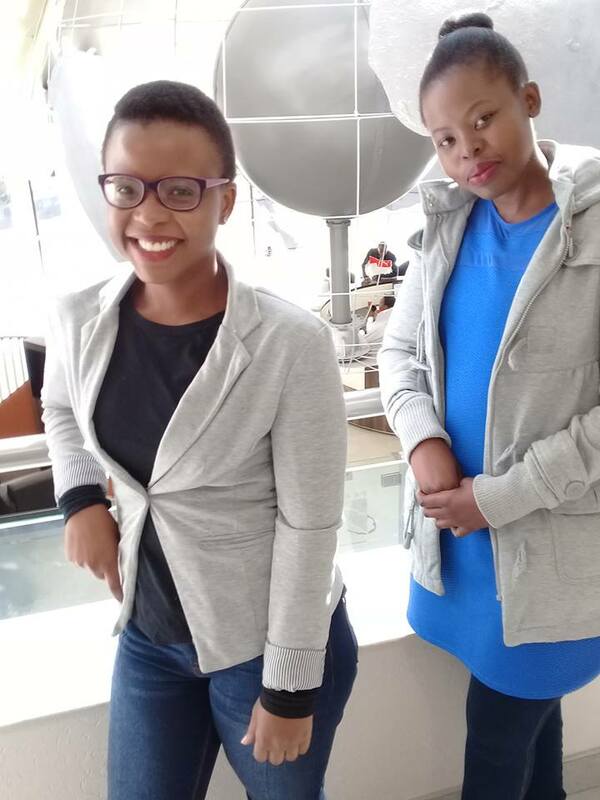 Linda Mnisi is our Financial Associate and Thandeka Skhosana is our HR Associate (and Assistant to the Executive Director). 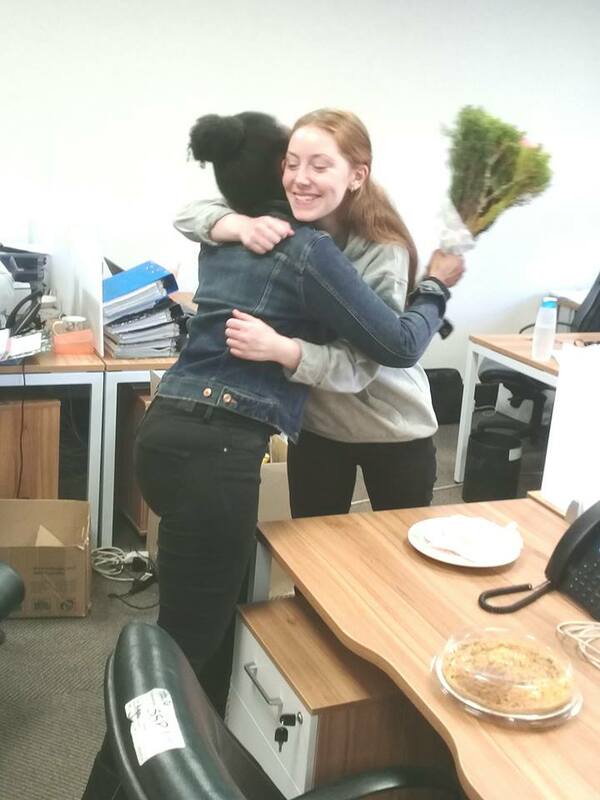 Hugs from SSP Executive Director Nozizwe Vundla for SSP Intern Sarah Deneher as Sarah completes her last day at SSP's office in Johannesburg. 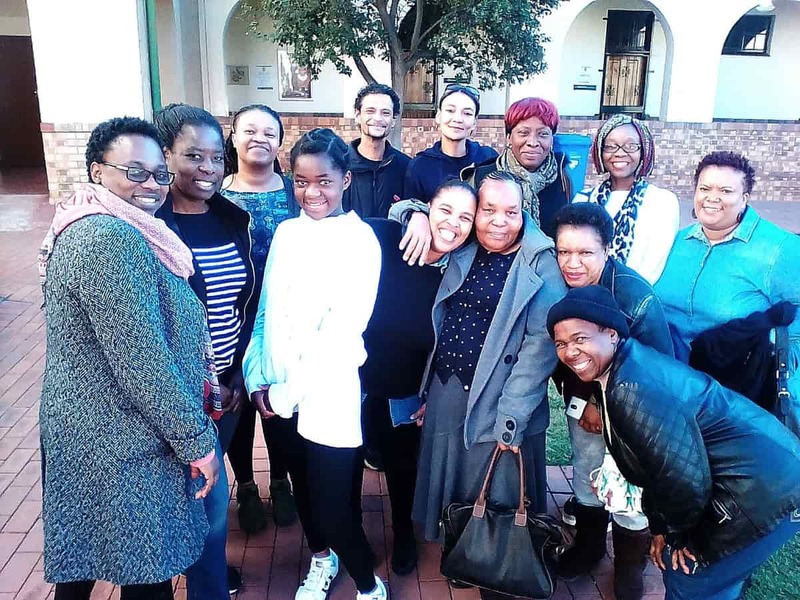 SSP Scholars Gabriel, Yonaka, Oregauletse and Gonolemo visit BBD's offices in Killarney with SPOs Lillian Saiid and Marlize Labuschagne. 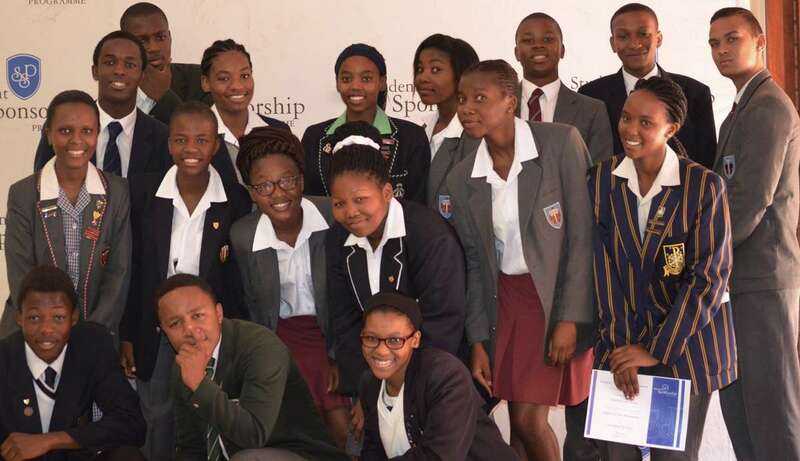 SSP at the Smart Minds Youth Conference in Vosloorus. 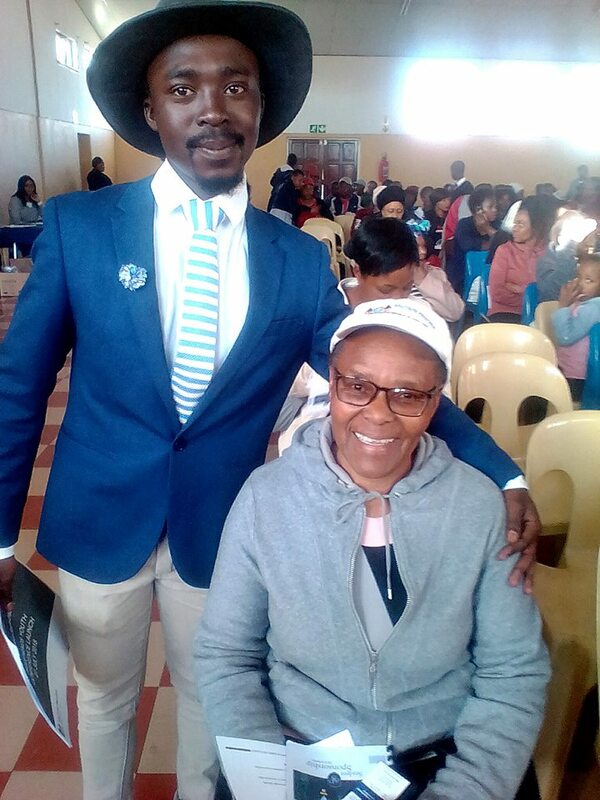 Ward 47 Councillor Thandi Nkosi and Khaye of Bambanani Future Leaders attended. 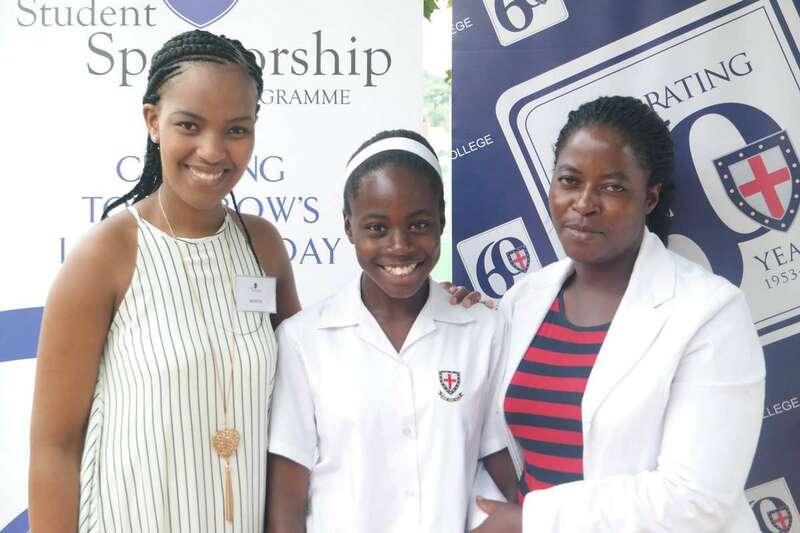 Poets in our midst - SAHETI Grade 10 Scholar Belinda Moyo accompanies her friend, SSP Scholar Natasha Tshuma of Grade 11, who is about to receive a SACEE Literature Poetry Award, with her proud SPO Lillian Saiid. 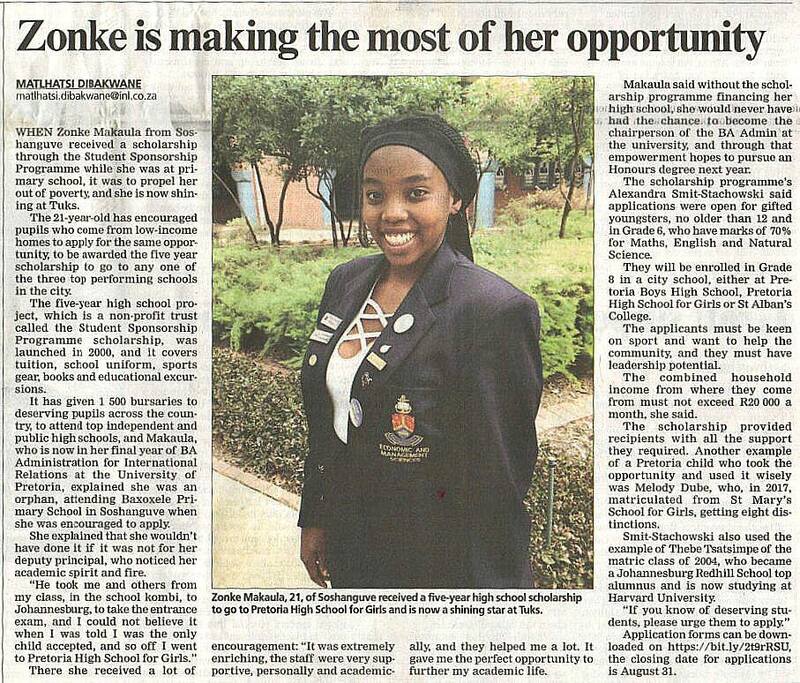 Pretoria News story by Matlhatsi Dibakwane features SSP alum Zonke Makaula and her amazing story. 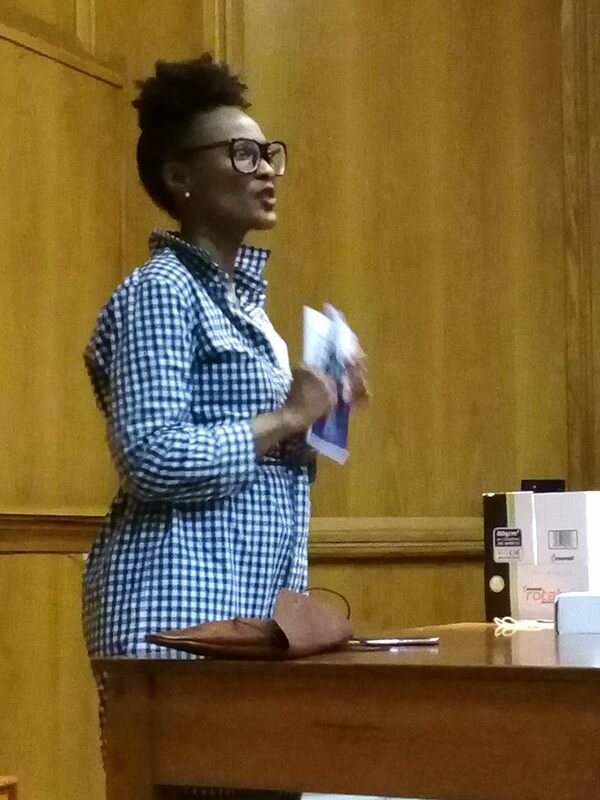 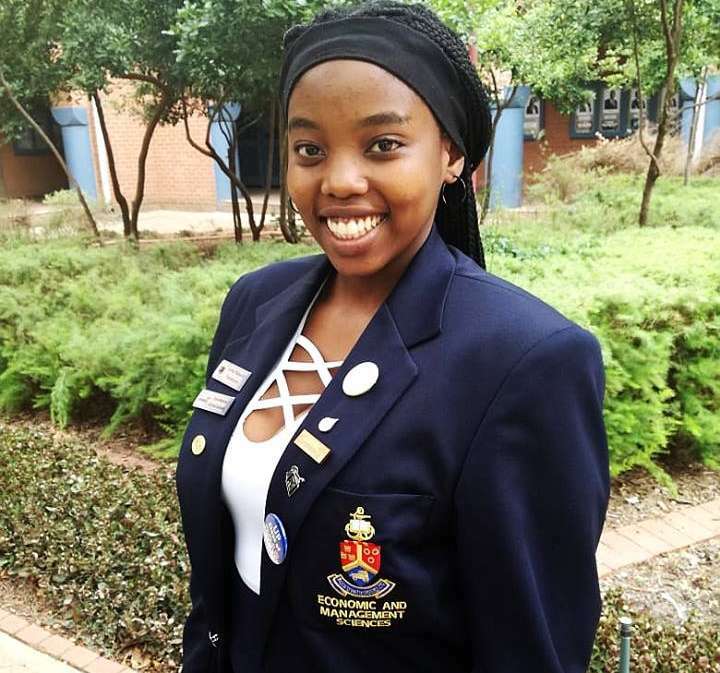 She is now at University of Pretoria. 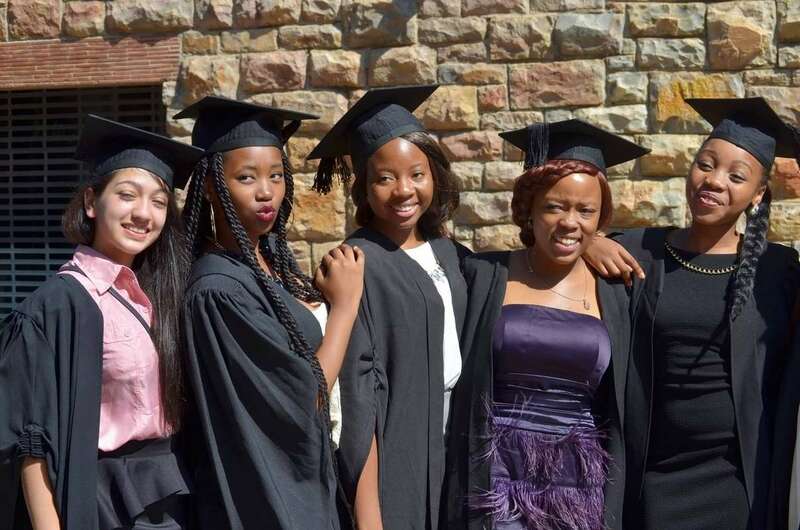 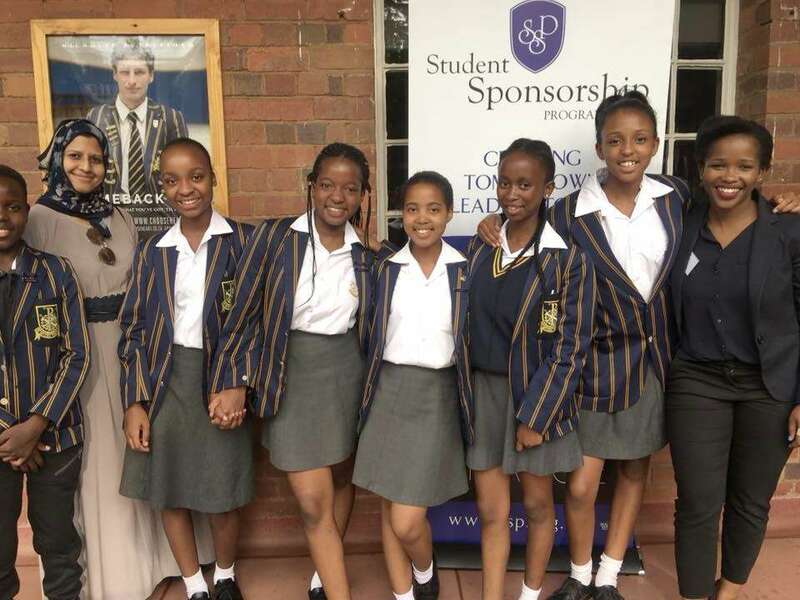 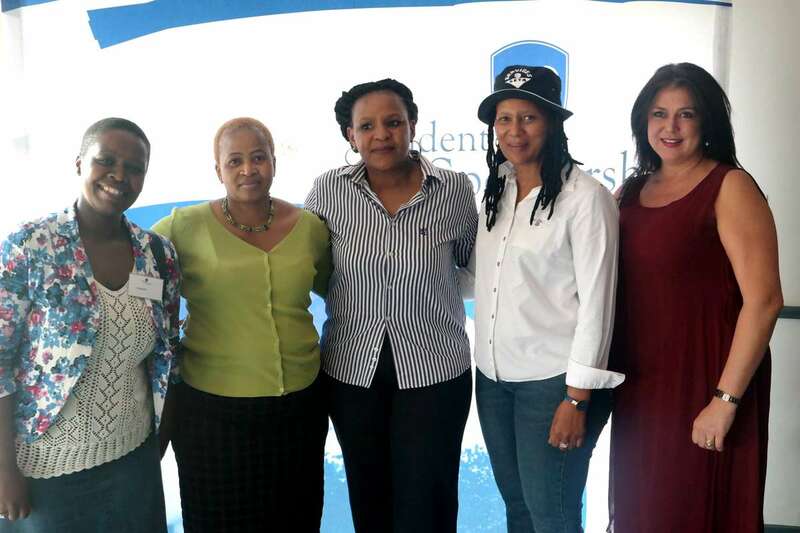 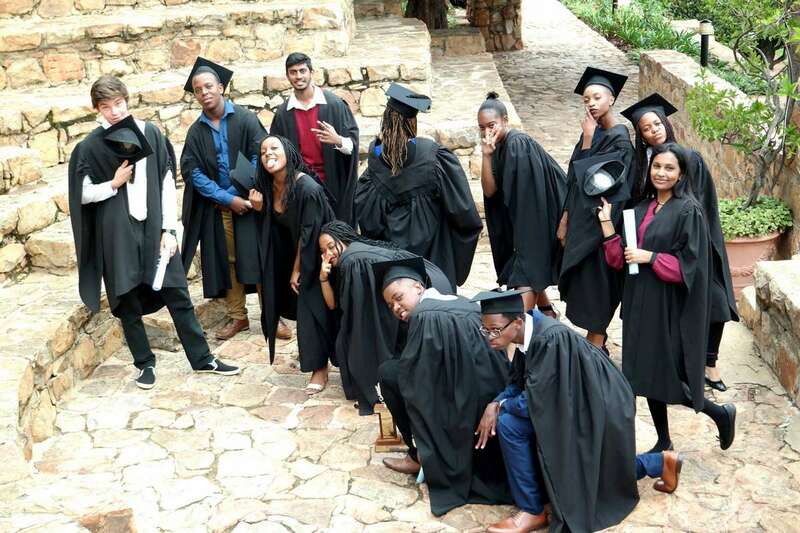 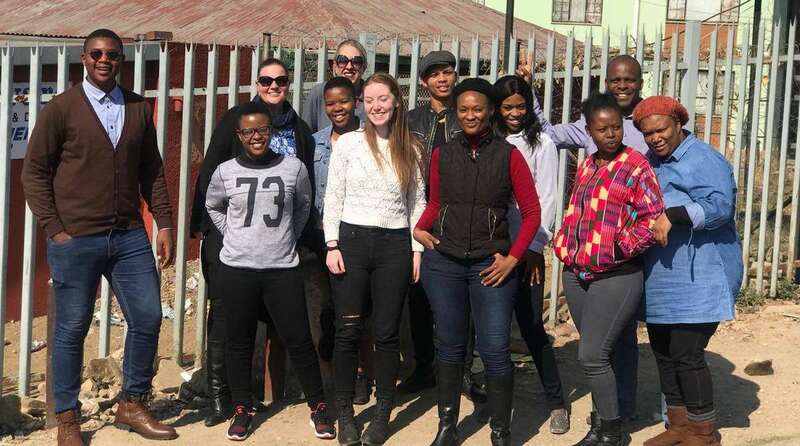 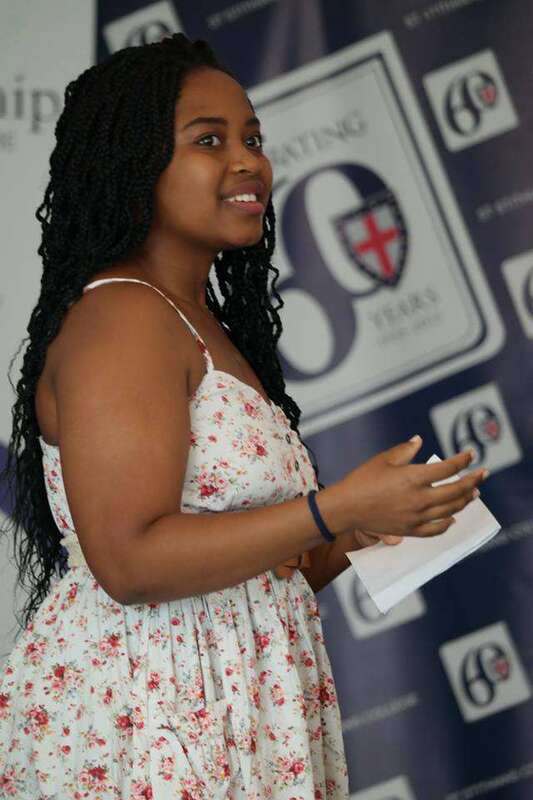 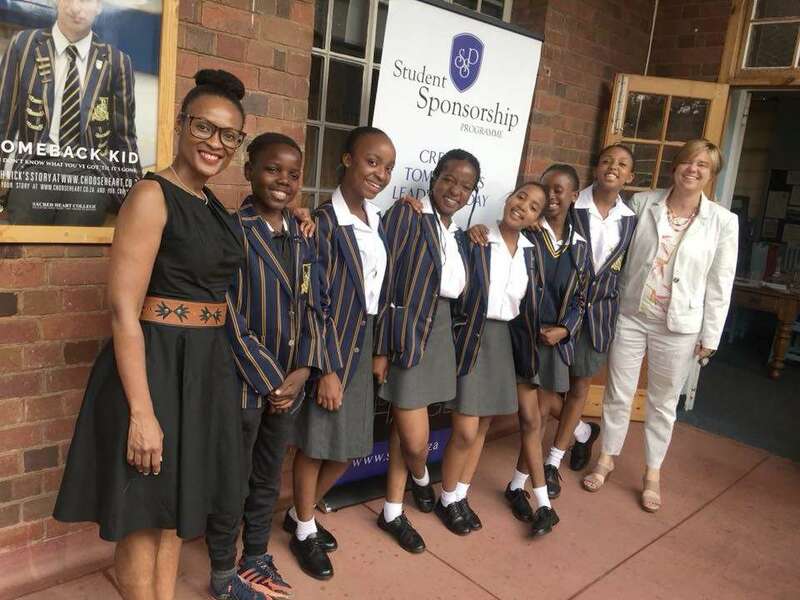 SSP and Pretoria High School for Girls alumnus Zonke Makaula is in her final year of BAdmin: International Relations at University of Pretoria and is an External Outreach Portfolio Director for Commercii. 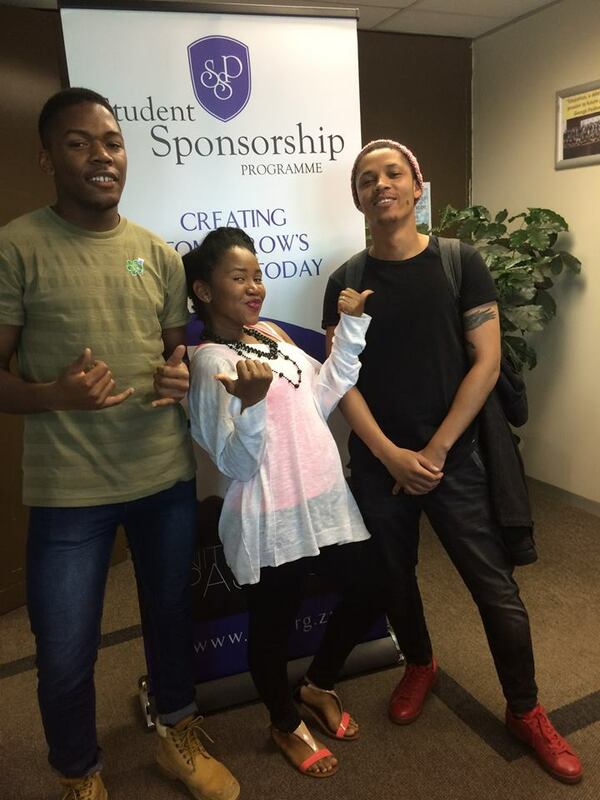 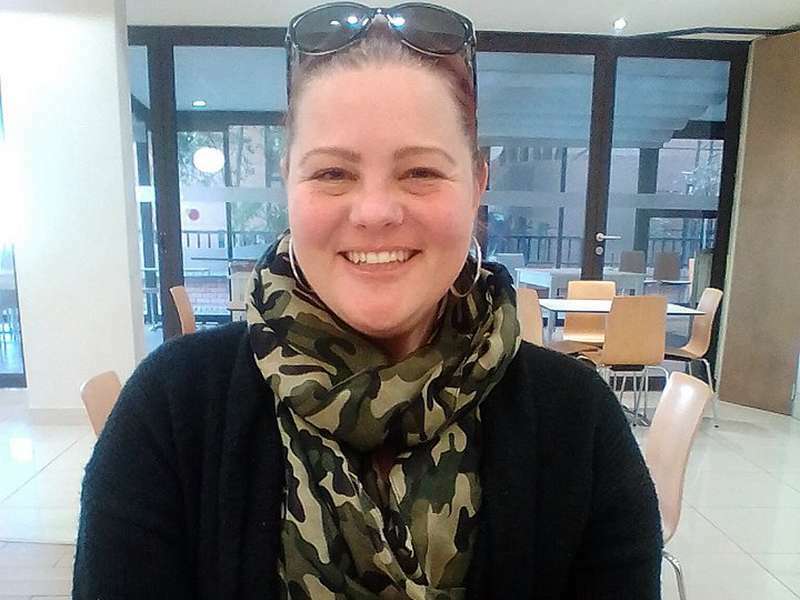 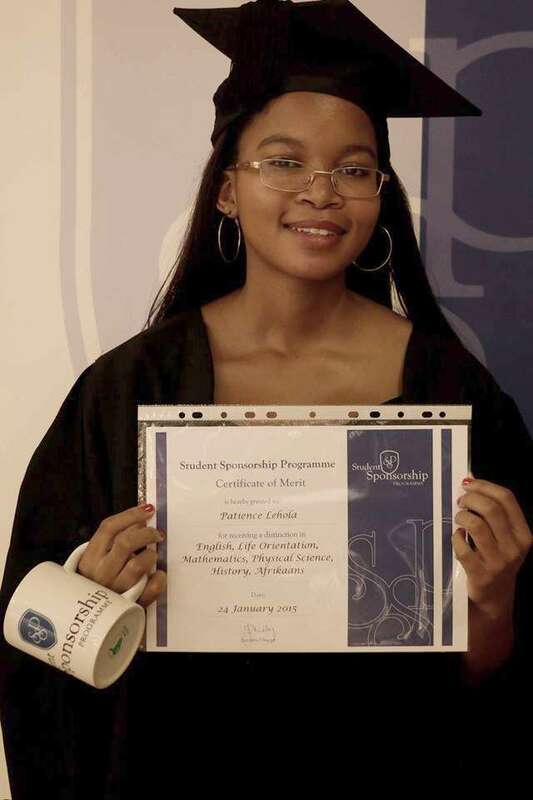 Representing our scholars in Pretoria is Marlize Labuschagne, who visited our new office in Parktown. 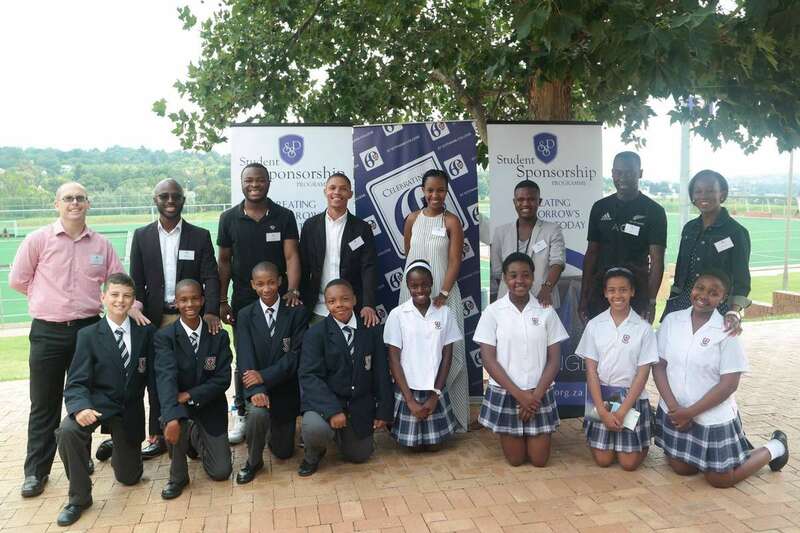 SSP Academic and Recruitment Director Lucas Letshabo visited Parkhurst Primary to talk about our scholarships. 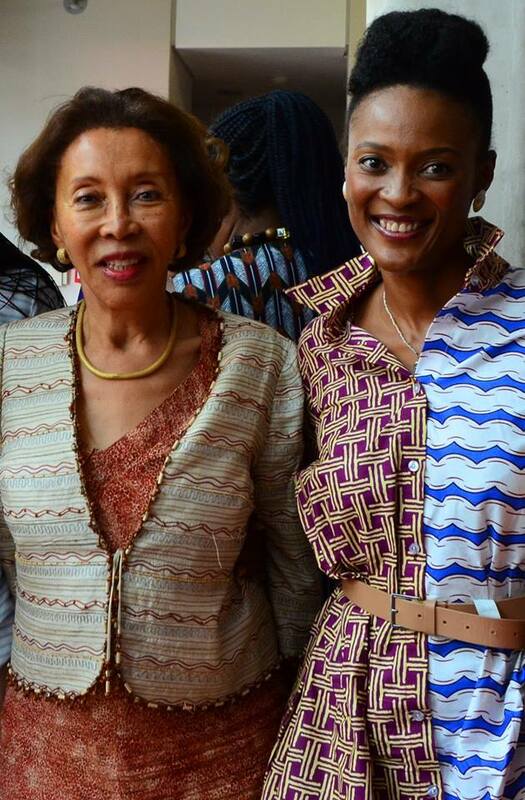 First Lady, Dr Tshepo Motsepe is photographed with SSP's Executive Director, Nozizwe Vundla at our recent graduation at St.Mary's School in Johannesburg. 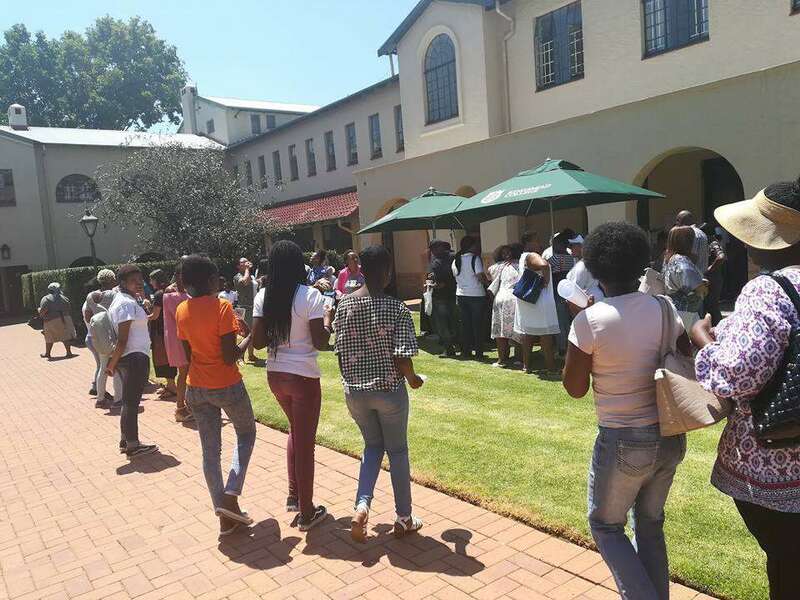 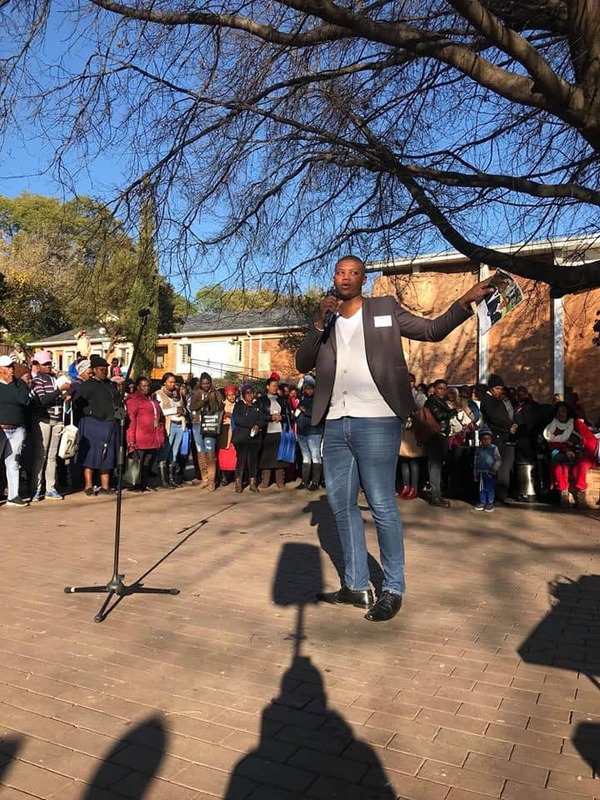 Academic Director Lucas Tebogo Letshabo went to Thandulwazi Saturday School, out of St Stithians College and spoke to 320 teachers from Diepkloof, Dobsonville, Shoshanguve and other rural areas about SSP. 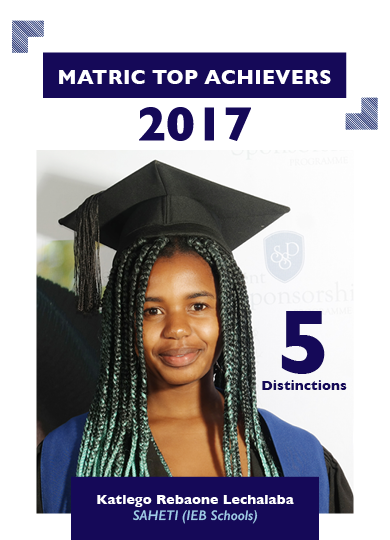 Congratulations to Khanyisa Sonjani on scooping 6 subject distinctions in Isixhosa, Mathematics, Life Orientation, Accounting, Geography and Physical Science. 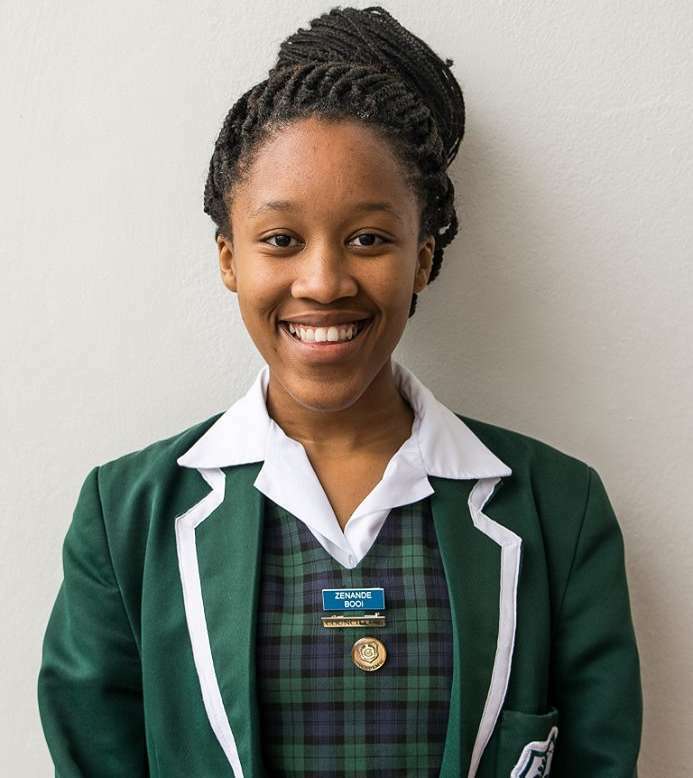 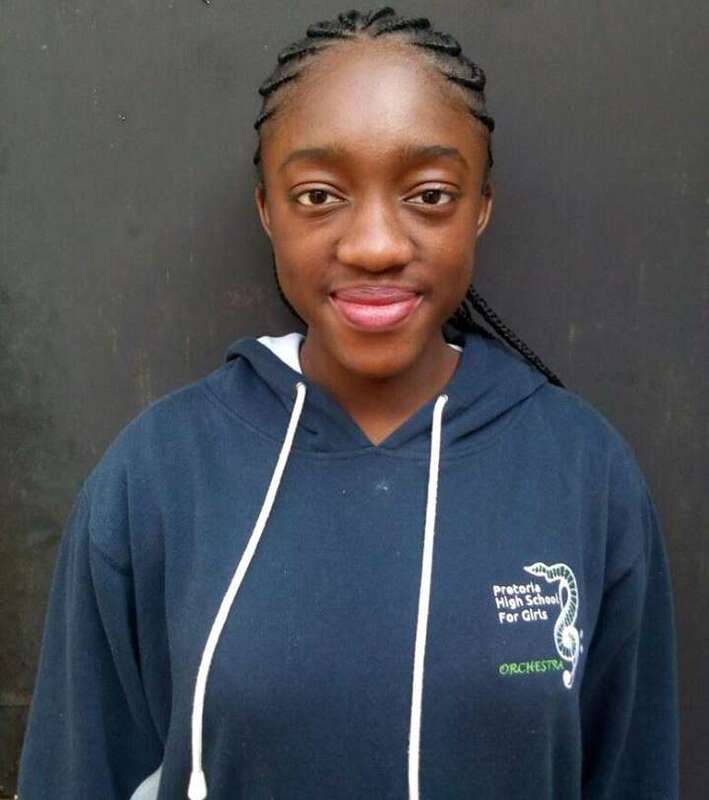 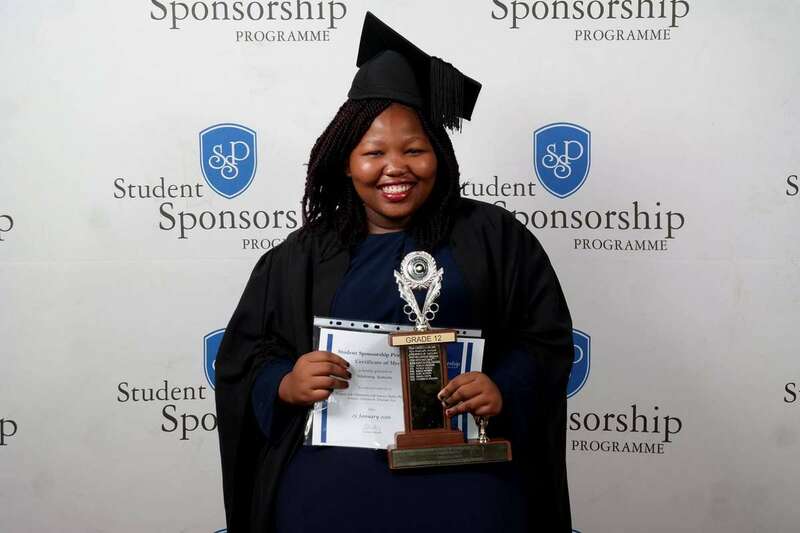 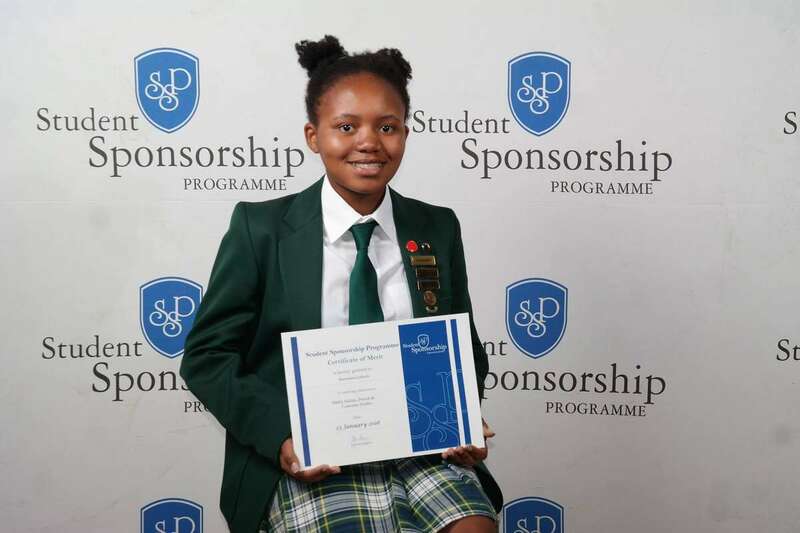 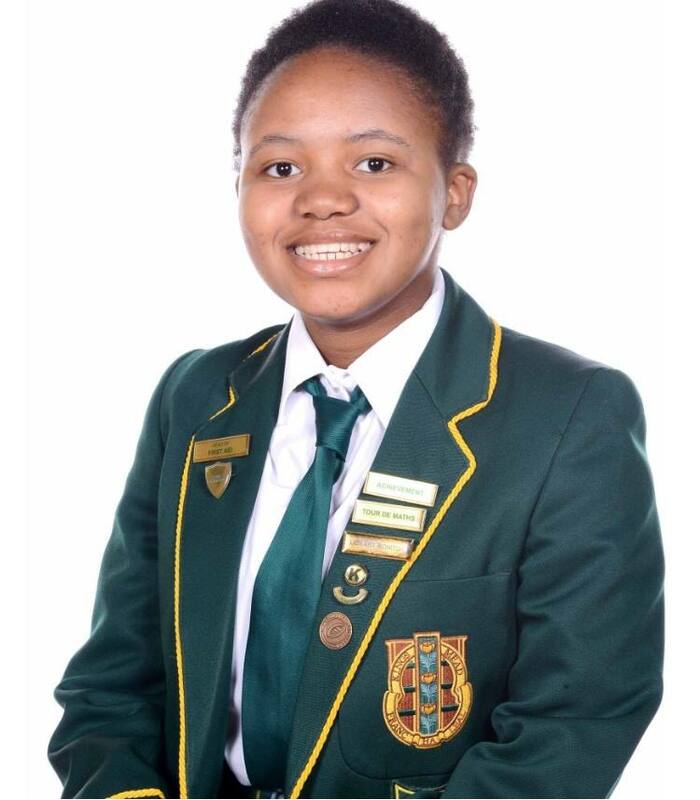 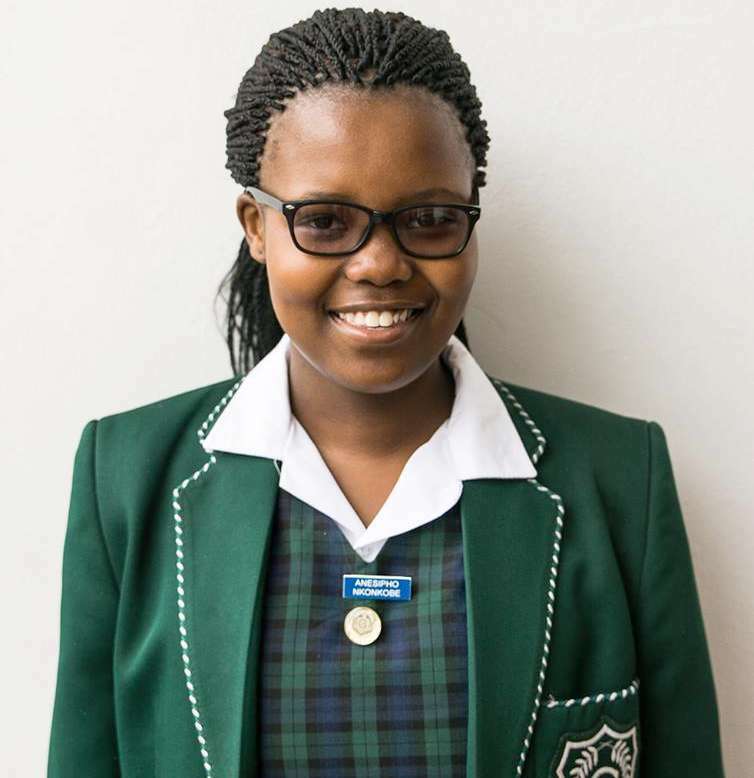 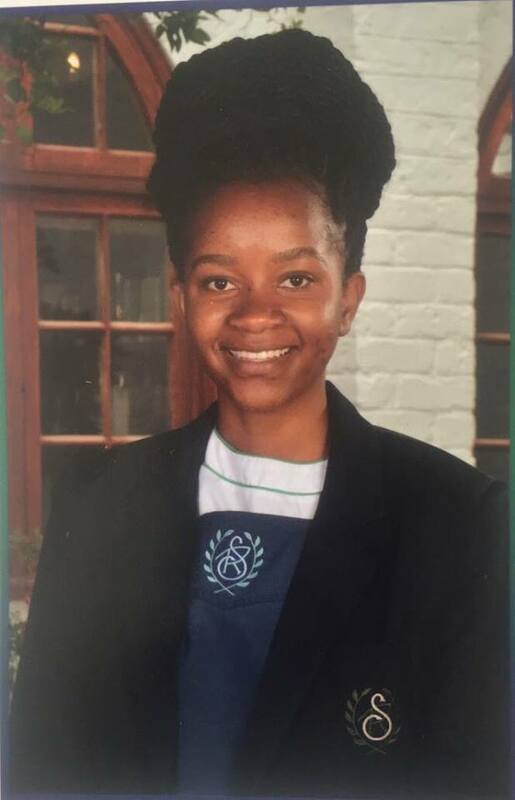 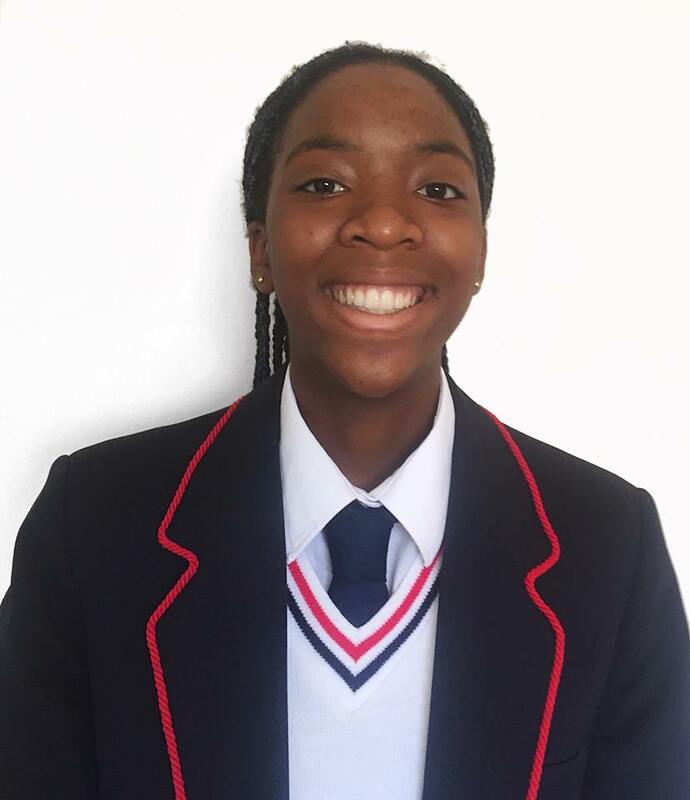 We congratulate Natasha Ngwenya, our Western Cape star who achieved 7 subject distinctions in her IEB examinations; English, Mathematics, Dramatic Arts, Life Sciences, Physical Sciences, Afrikaans and Life Orientation. 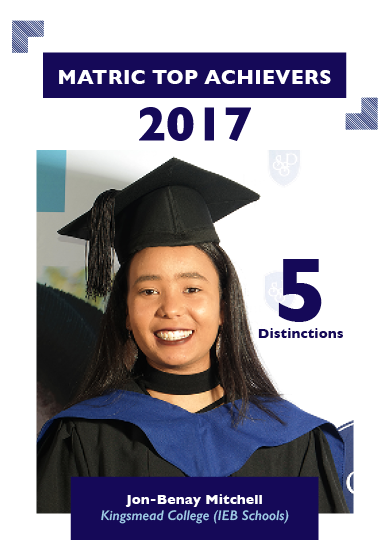 Congratulations to Zenande Booi on achieving 4 subject distinctions in English, Mathematics, History and Life Orientation. 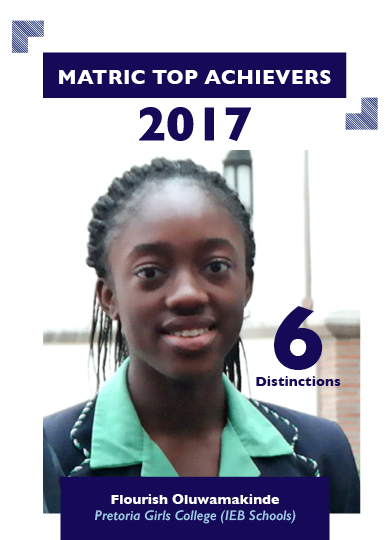 Flourish Oluwamakinde scooped 6 distinctions in English, Afrikaans, Mathematics, Accountig, Computer Application tech and Life Orientation. 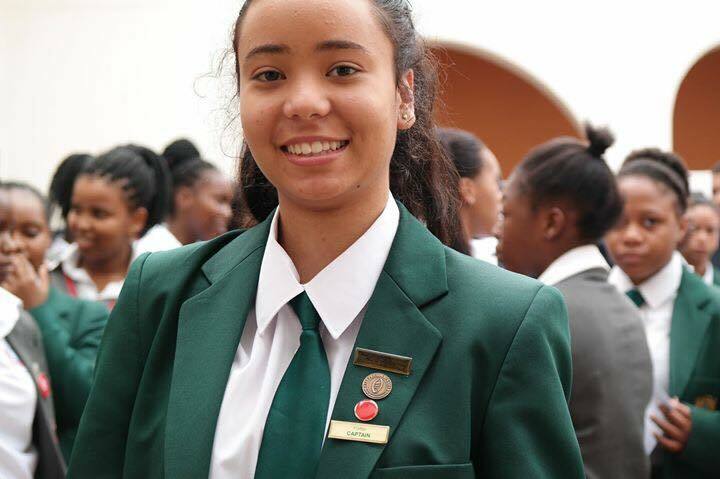 She received a B symbol for Physical Science. 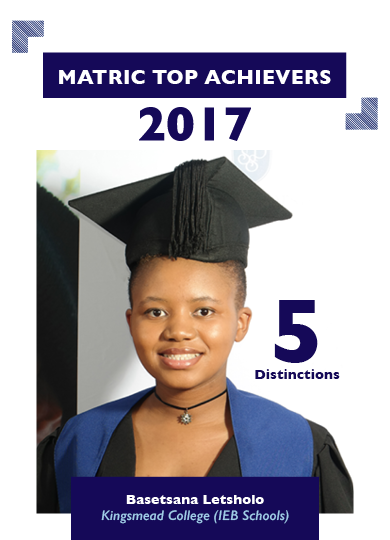 Congratulations to Basetsana Letsholo on achieving 5 subject distinctions in Maths, IsiZulu, French, Dramatic Arts and Advanced Mathematics! 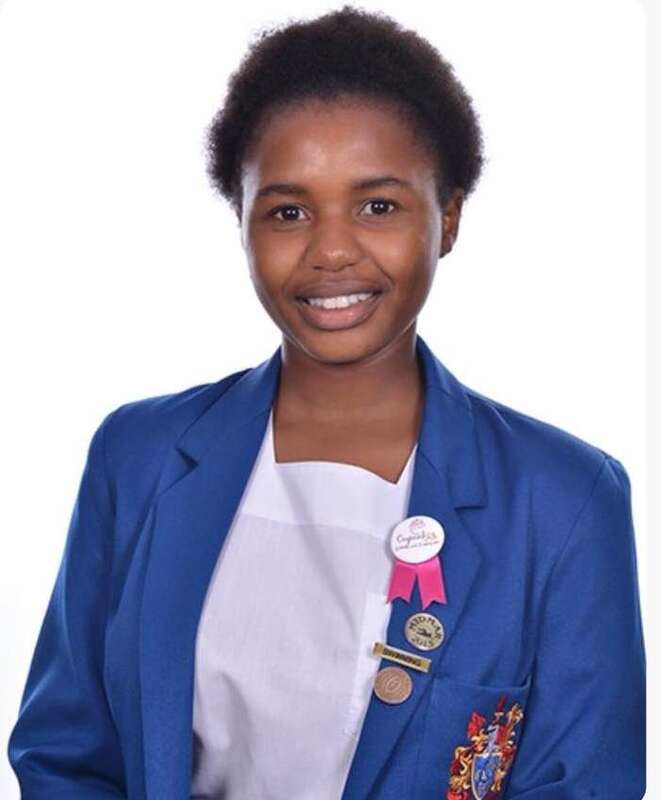 Congratulations to Sandra Ndlovu on achieving 3 distictions in Isizulu, History and Life Orientation. 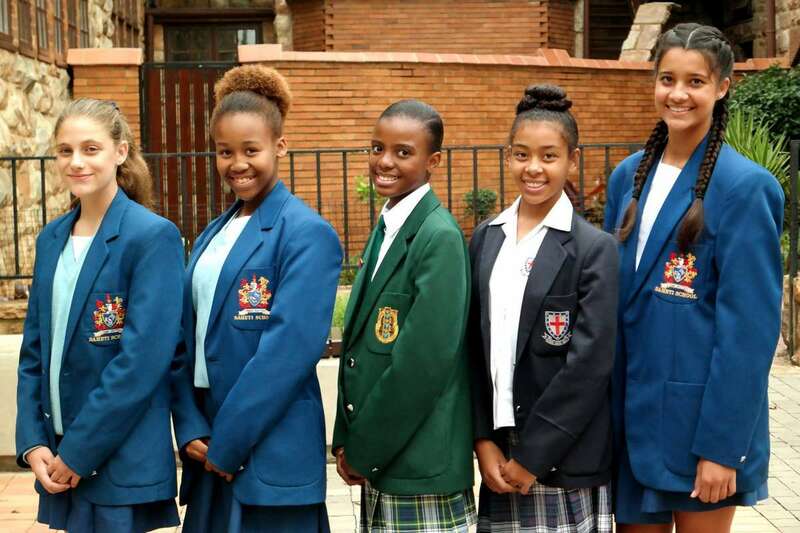 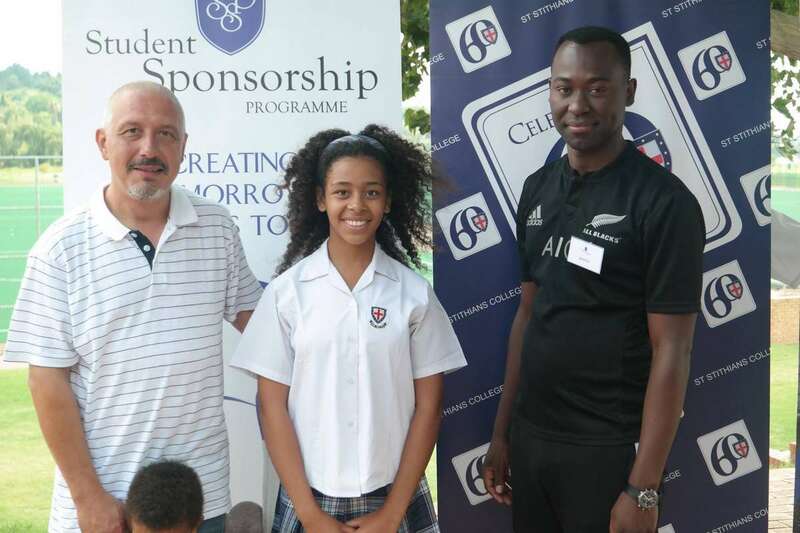 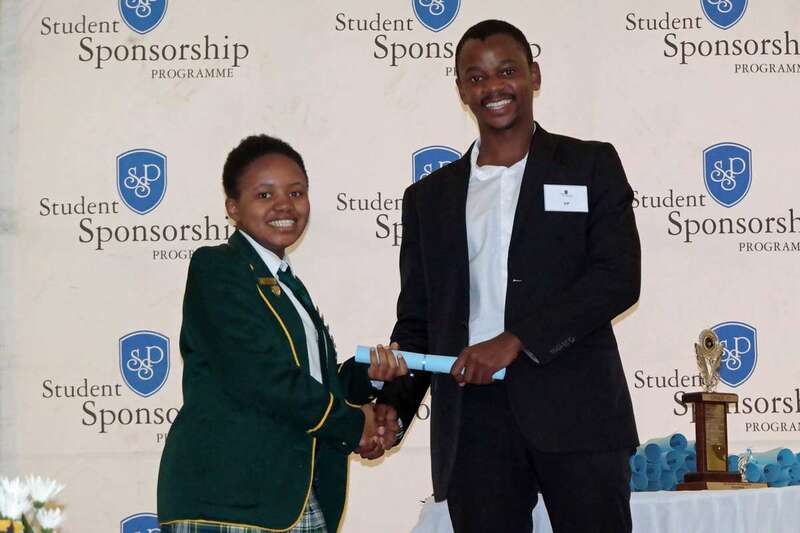 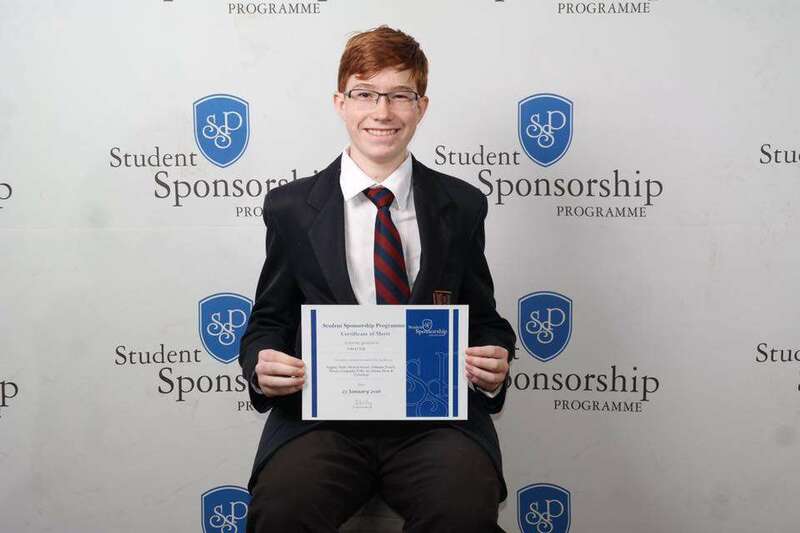 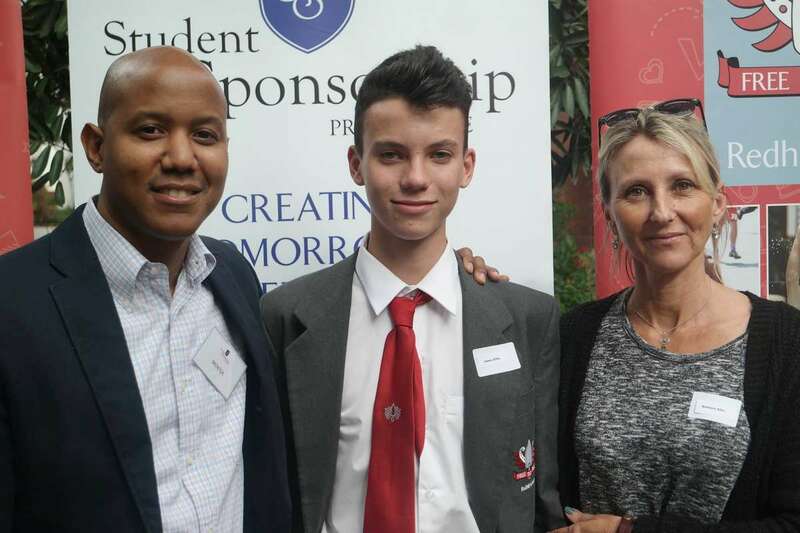 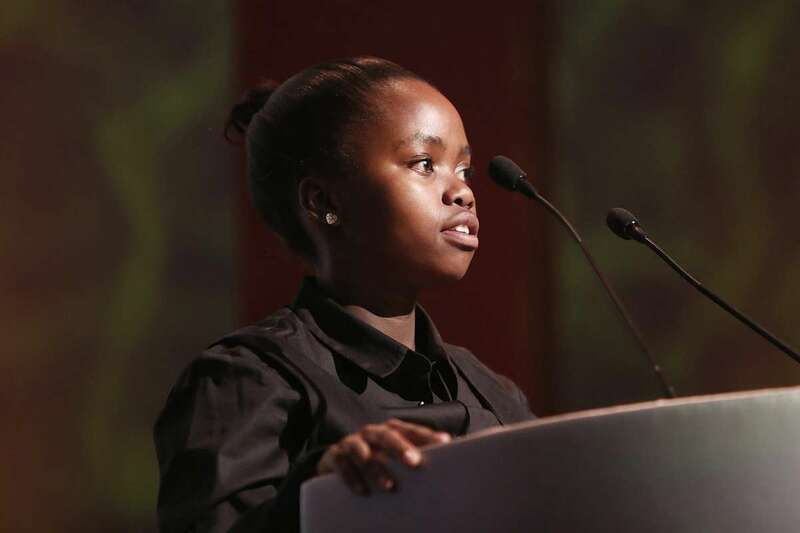 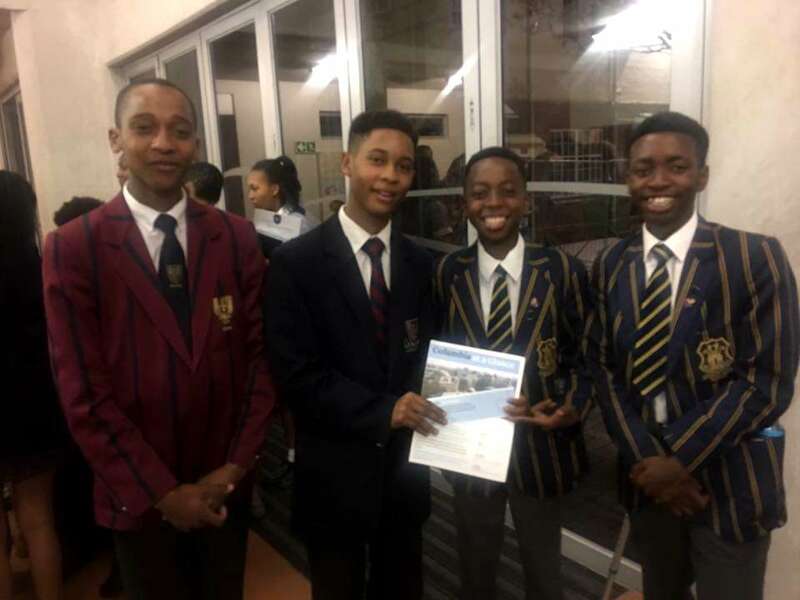 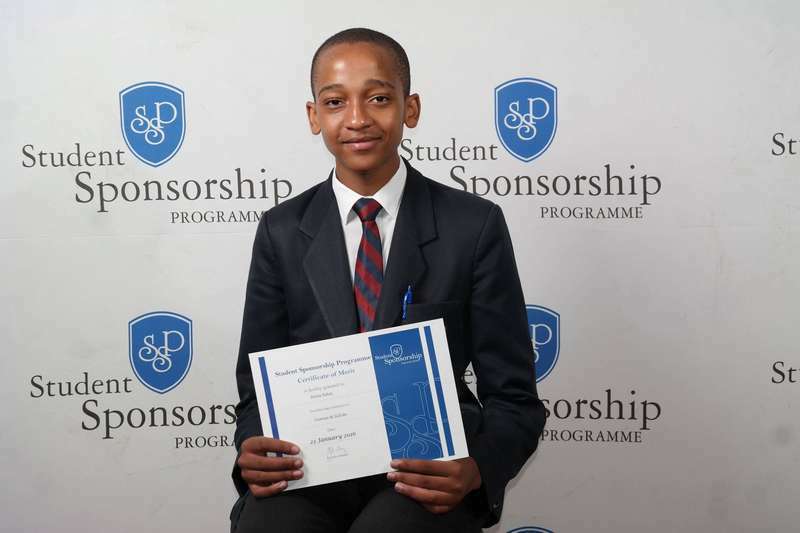 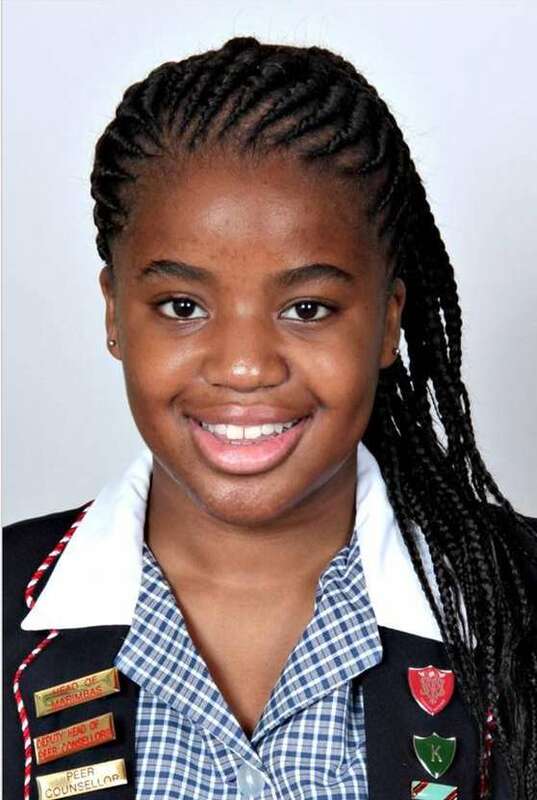 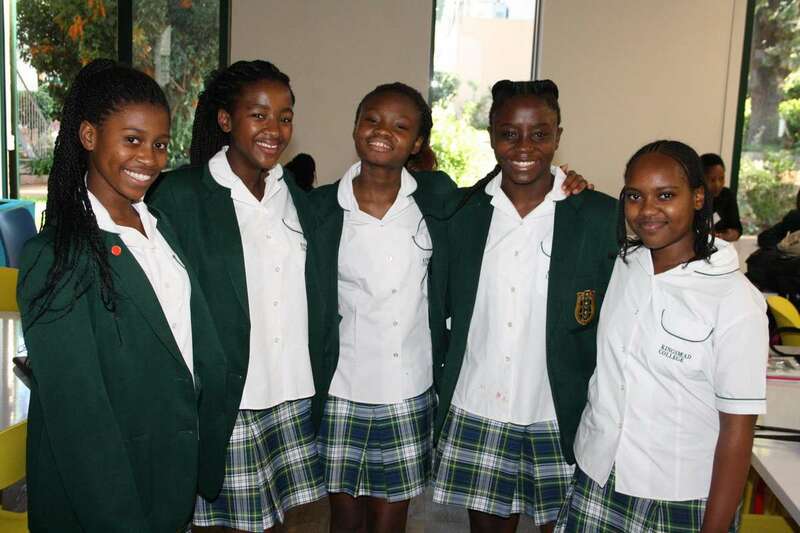 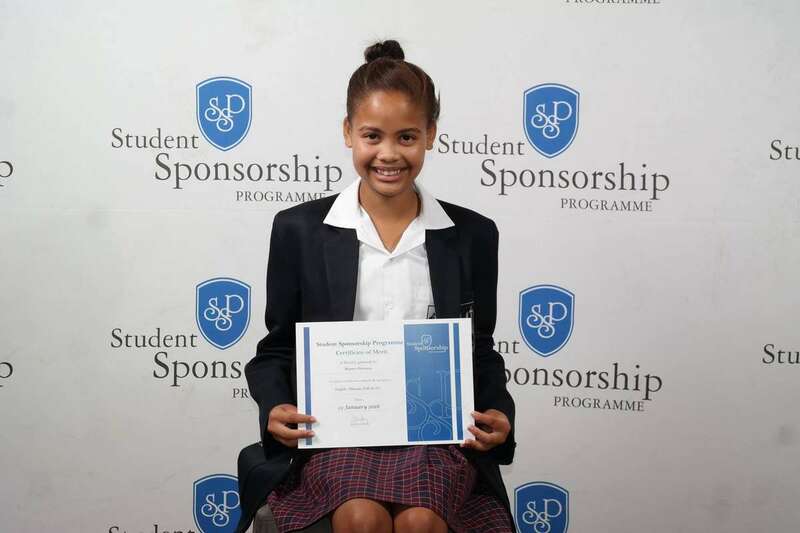 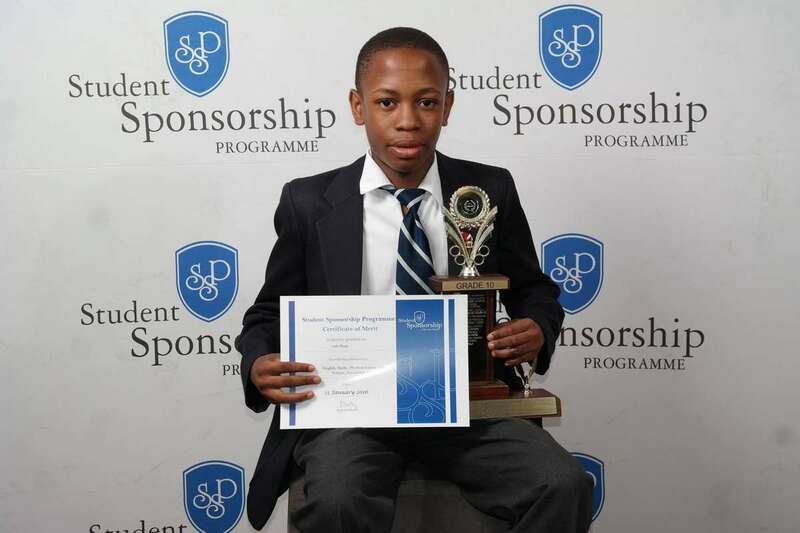 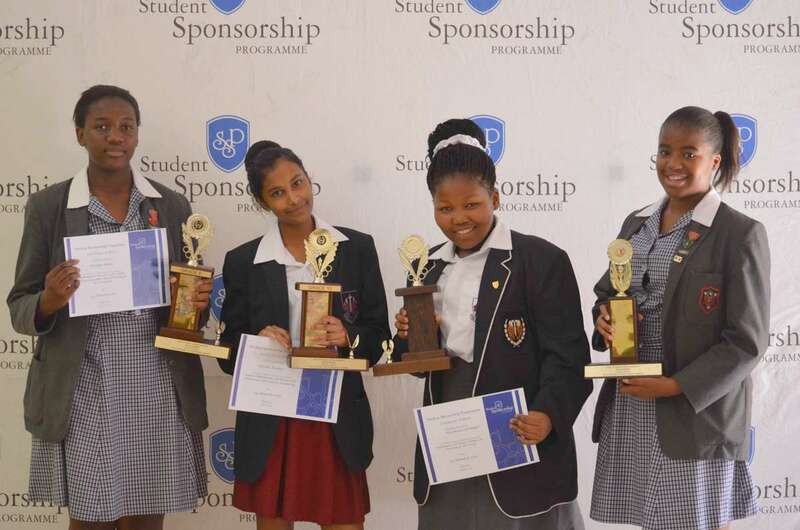 Anesipho Nkonkobe SSP Clarendon Grade 9 Scholar wrote the SAICA accounting olympiad and came second. 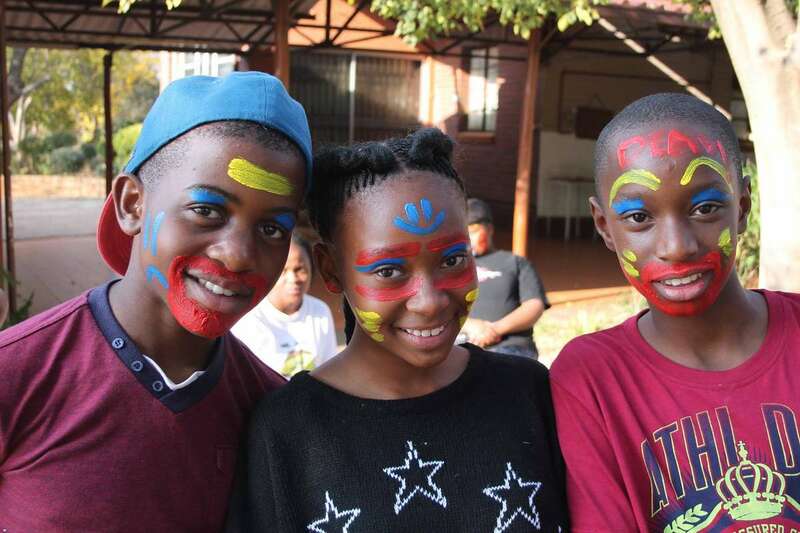 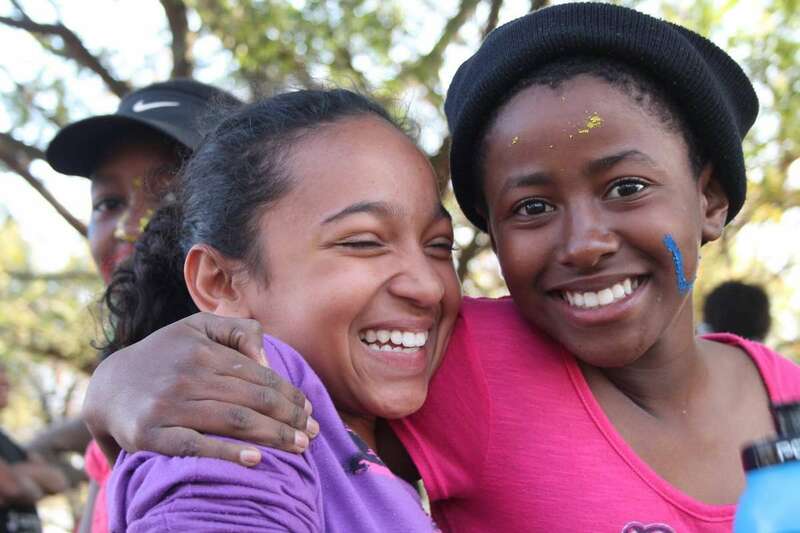 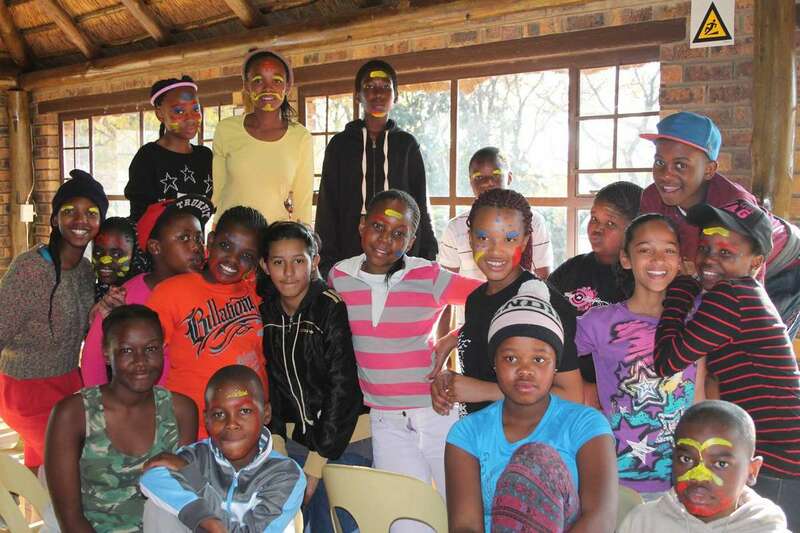 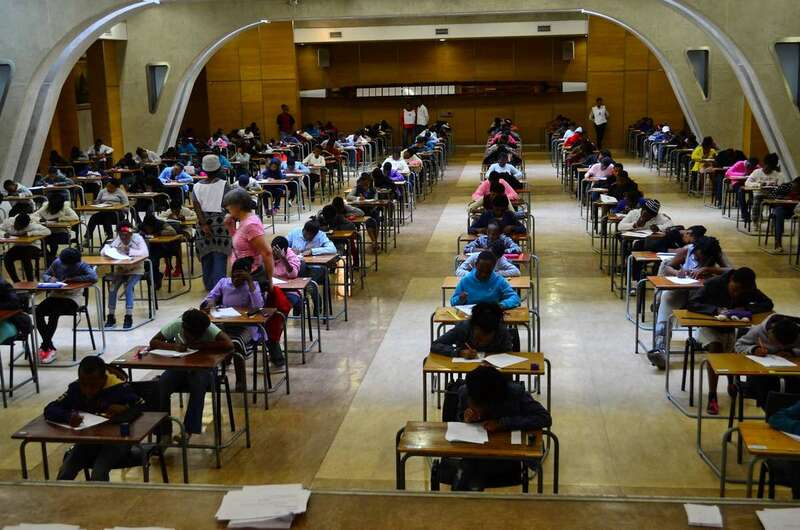 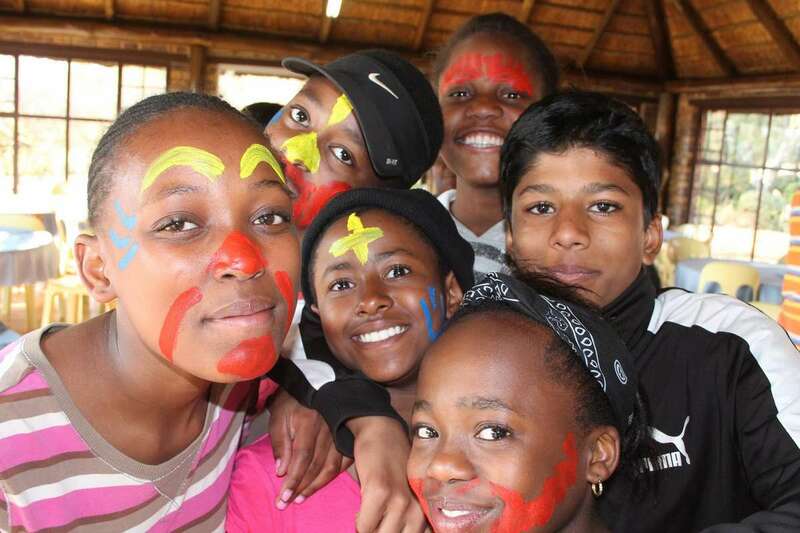 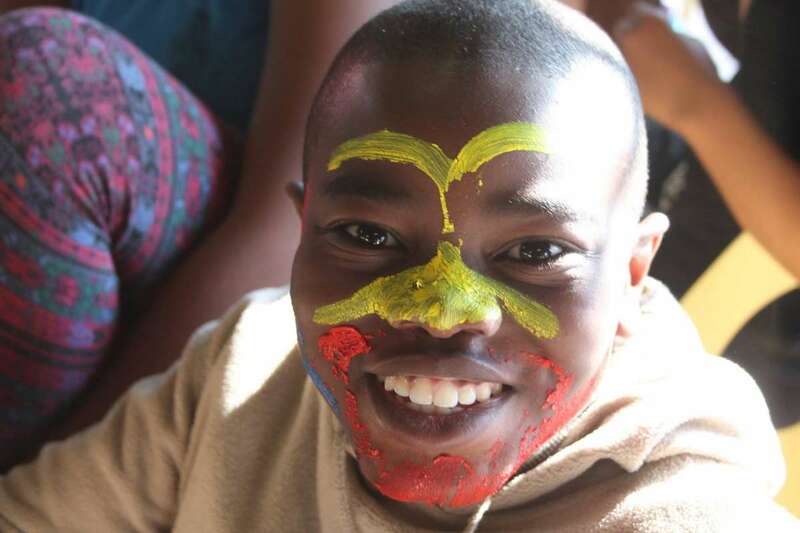 Over 1000 learners wrote the olympiad in the Eastern Cape! 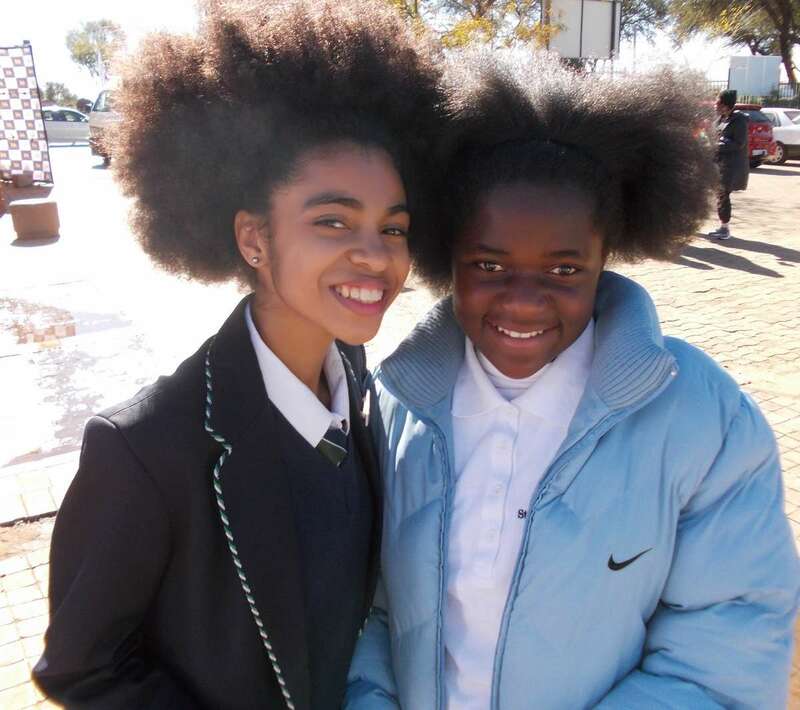 #African Teen icon Zulaikha Patel known for her stand against African hair discrimination poses with SSP scholar Mwamini Bukanga at Morris Isaacson High School in Soweto. 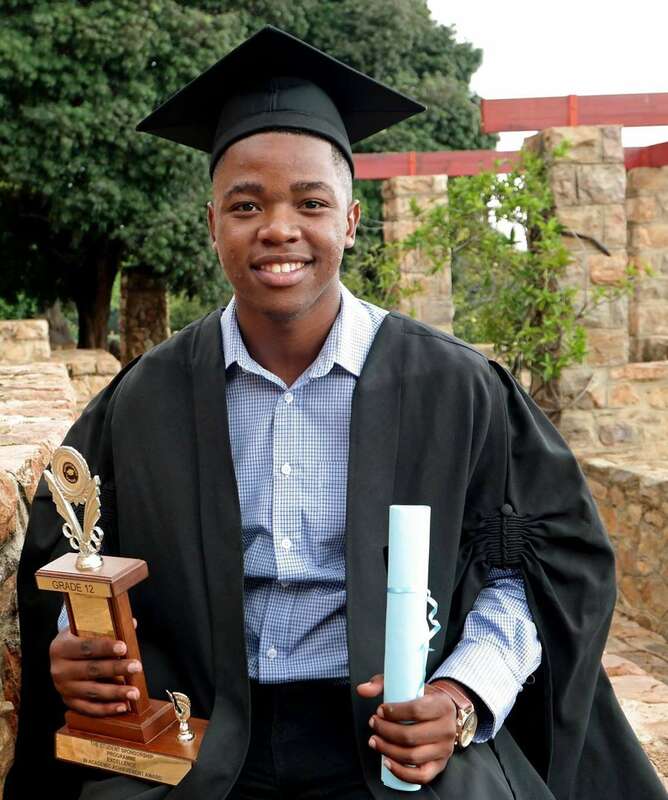 This Sir aka Delela Ndlela scooped 3 distinctions in Dramatic Arts, English and Isizulu. 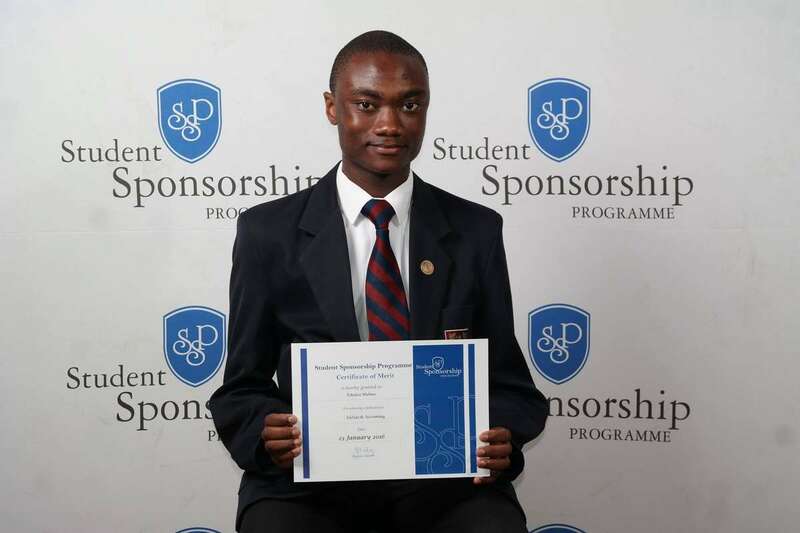 Congratulations to Jon-benay Mitchell the outgoing president of our scholar council, for achieving 5 subject distinctions. 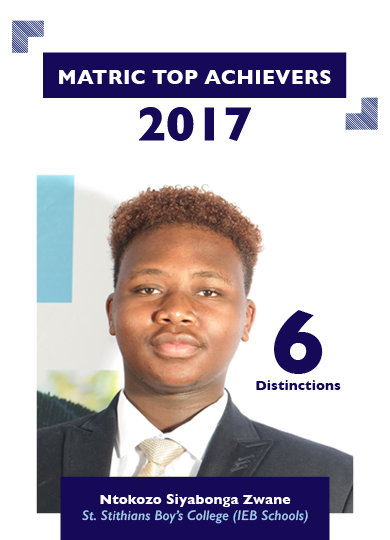 Congratulations to Katlego Lechalaba on achieving 5 subject distinctions. 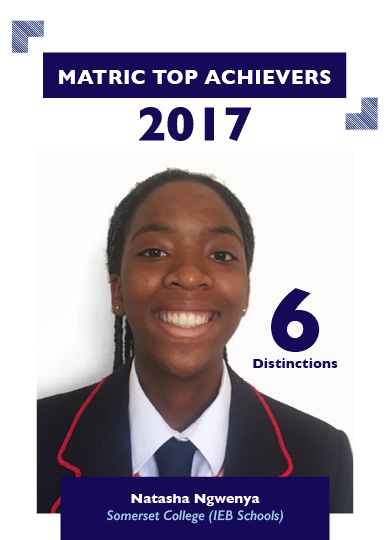 Melody Dube who has achieved 8 subject distinctions and placed in the top 1% candidates list for Isizulu & Mathematics. 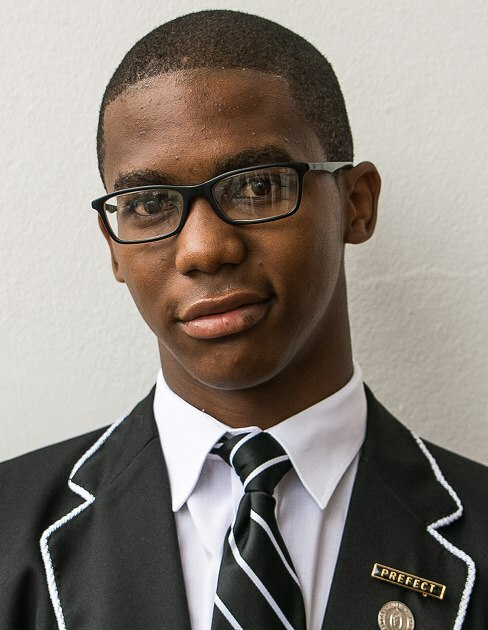 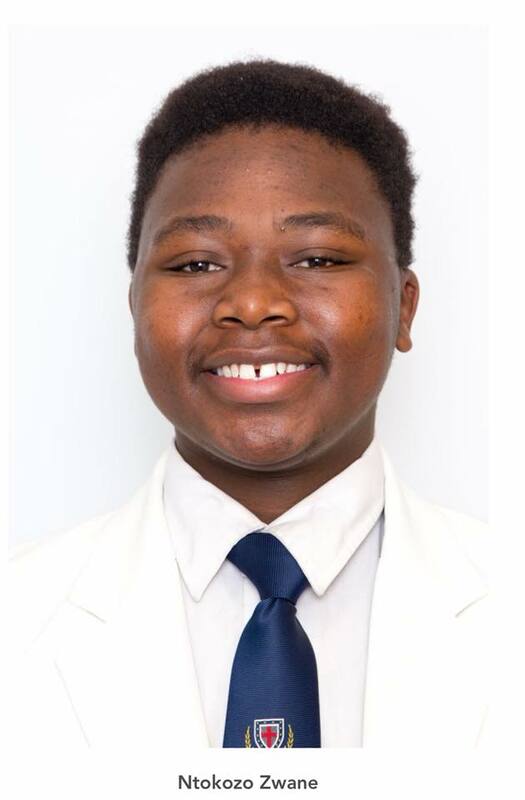 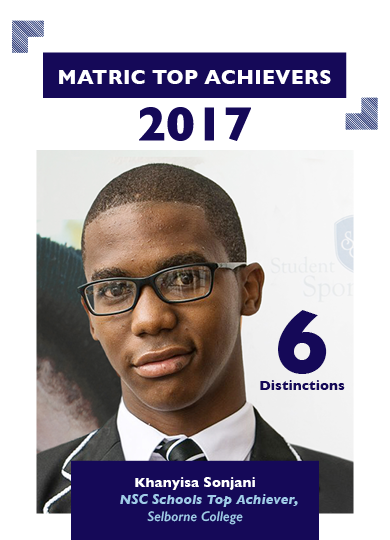 Ntokozo Zwane achieved 5 subject distinctions and placed in the top 1% of the IEB candidates for Dramatic Arts, Isizulu and English. 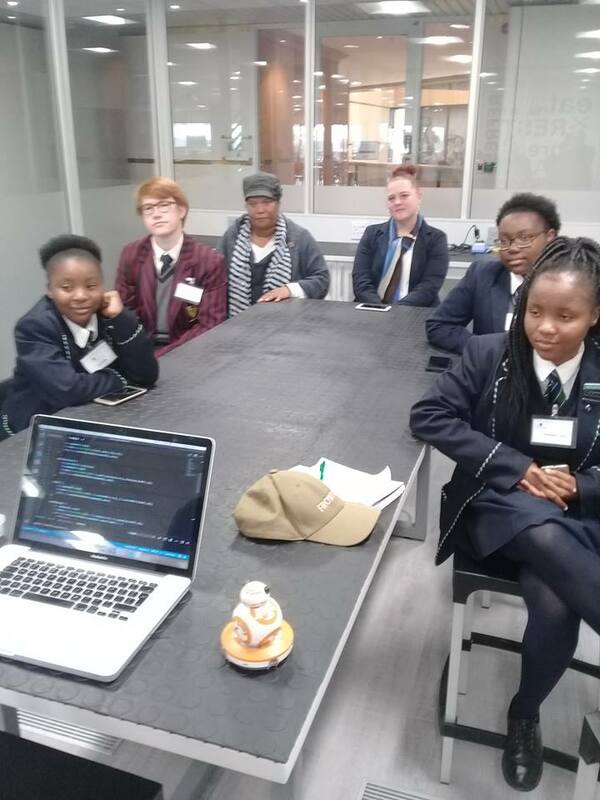 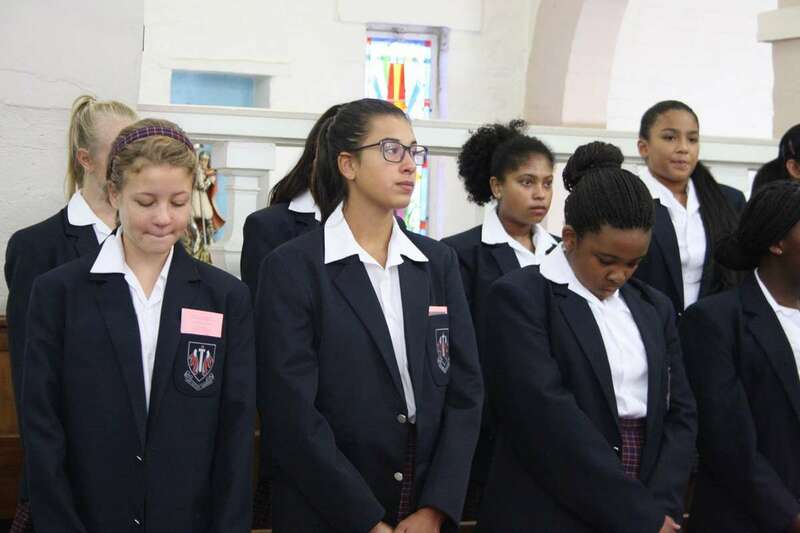 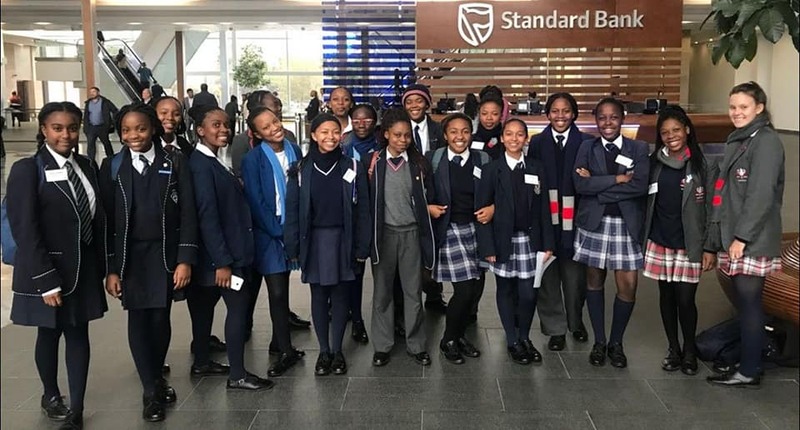 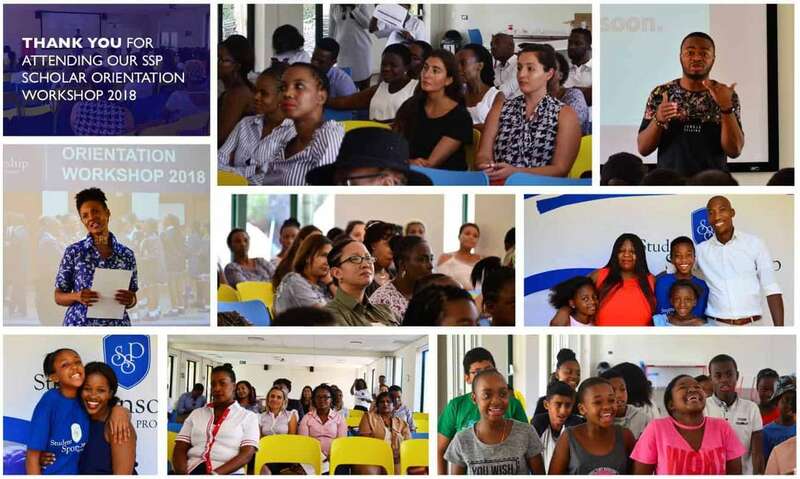 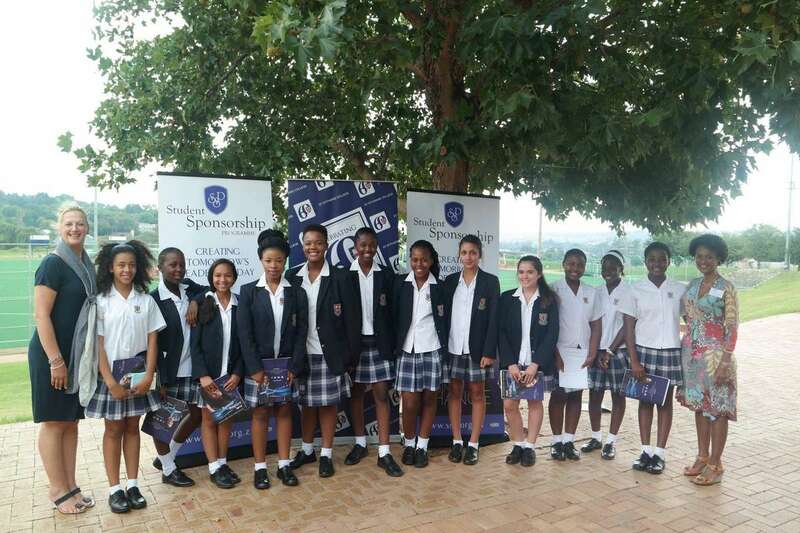 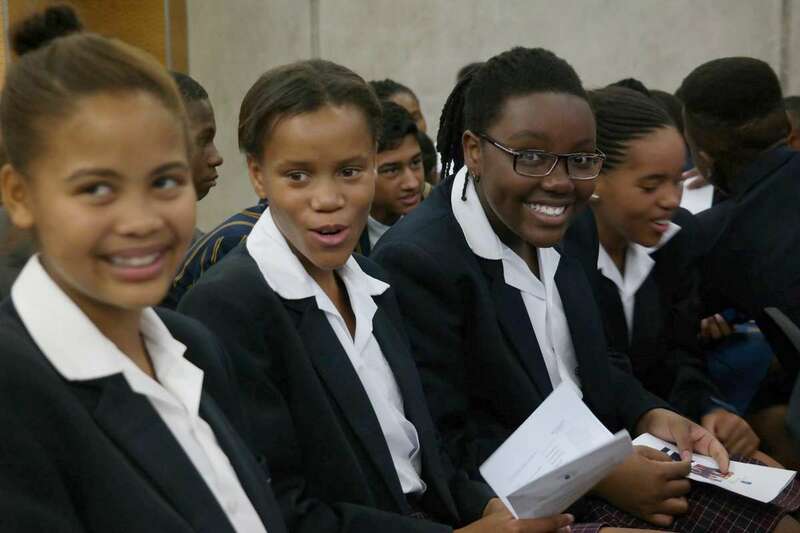 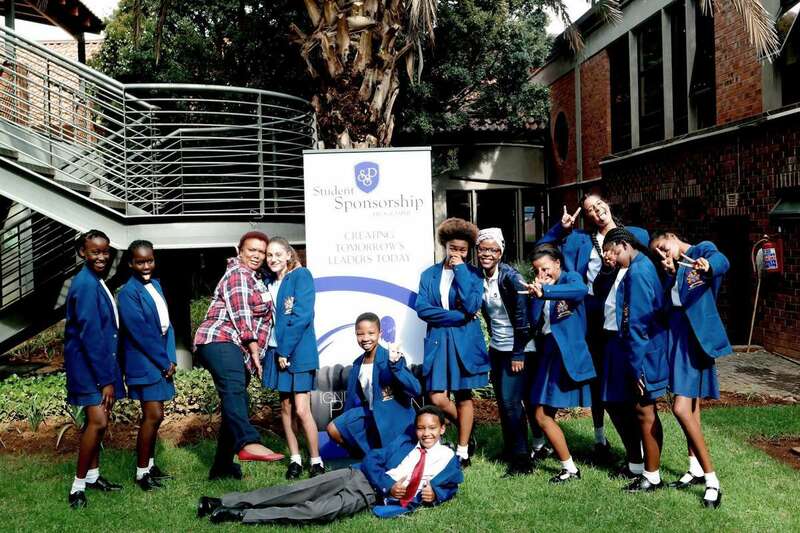 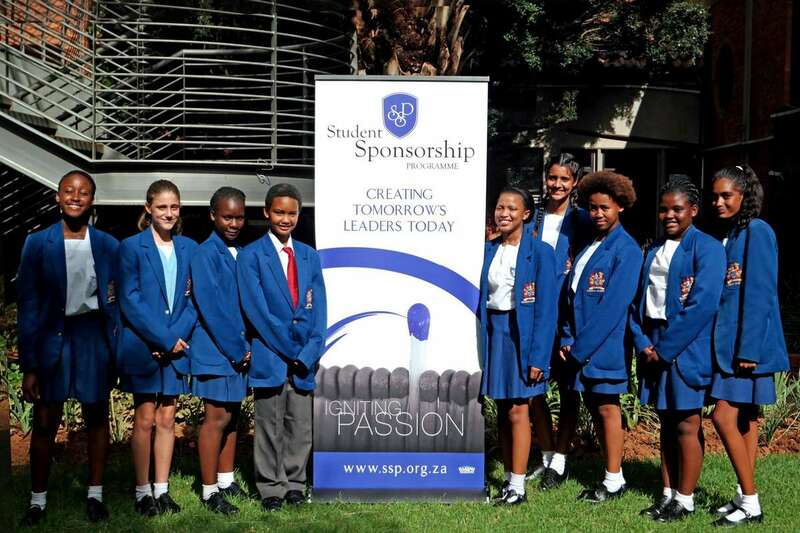 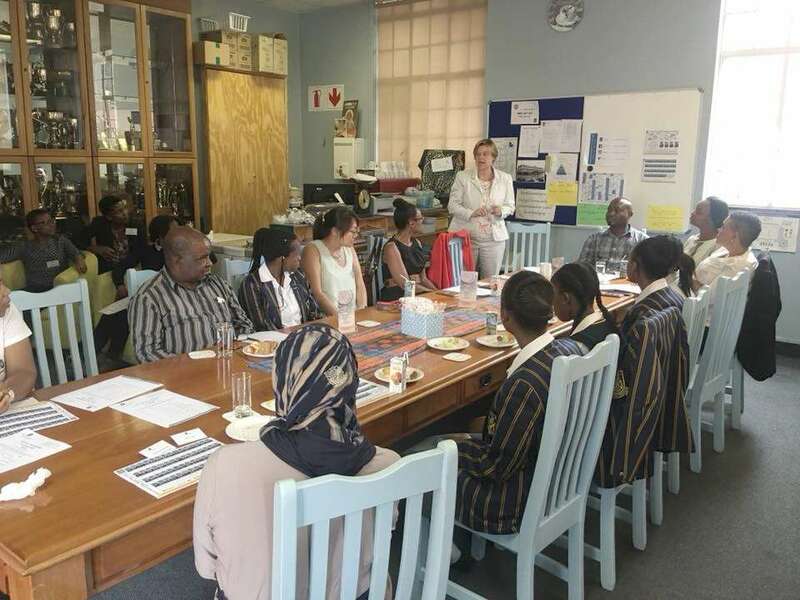 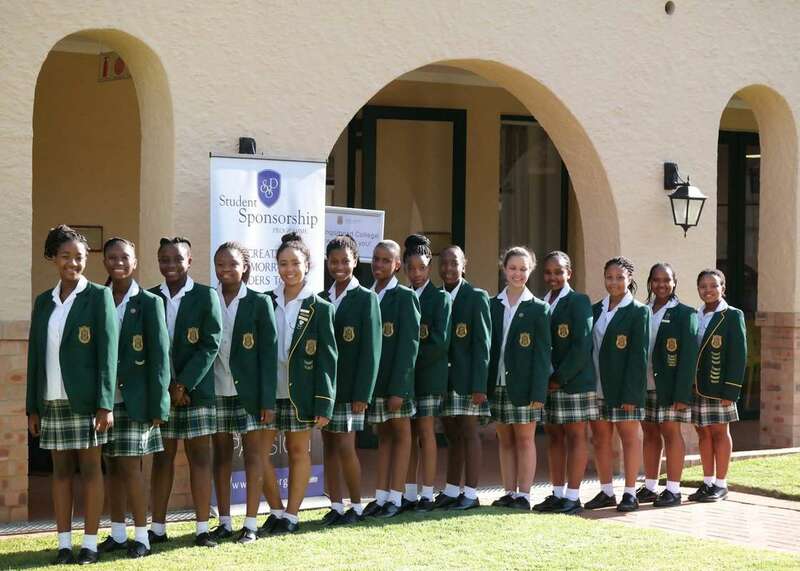 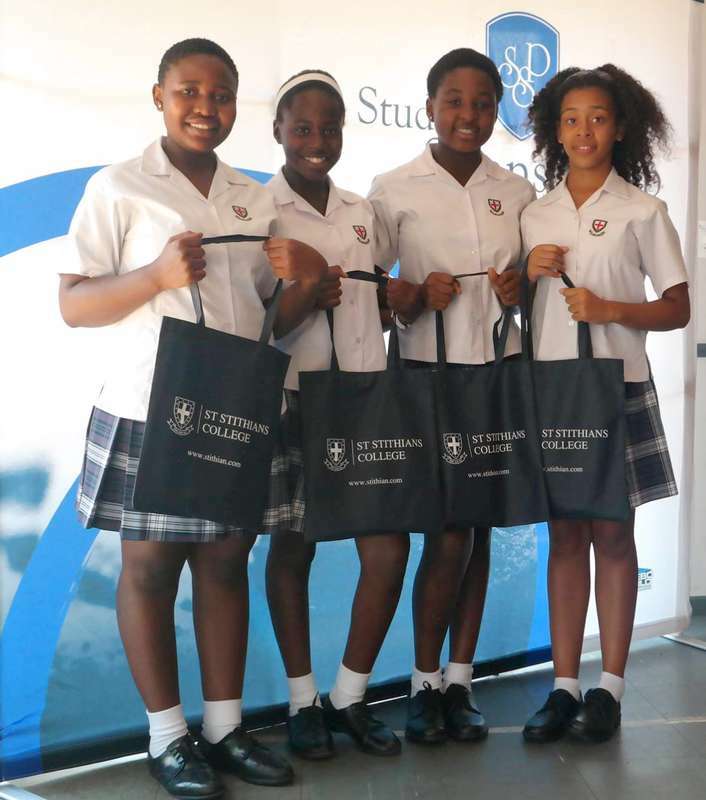 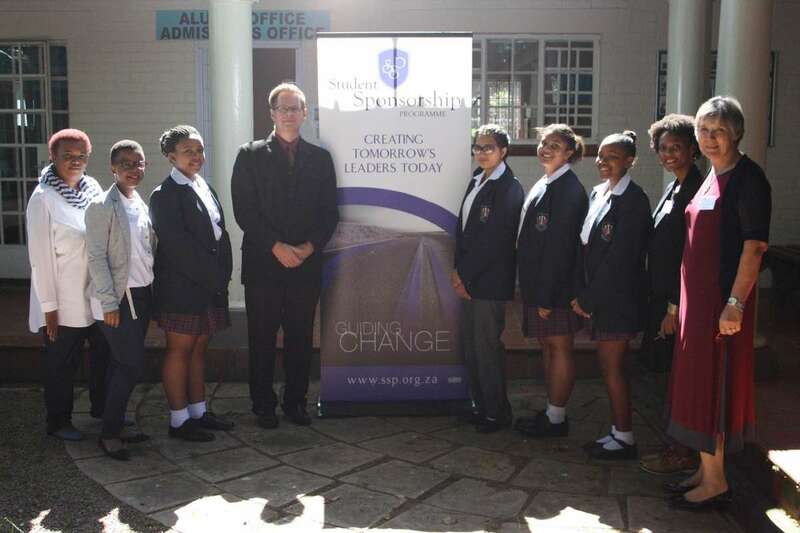 Our SSP scholars from Redhill School, Sacred Heart College, Pretoria High School for Girls, and St Stithians College visited Standard Bank. 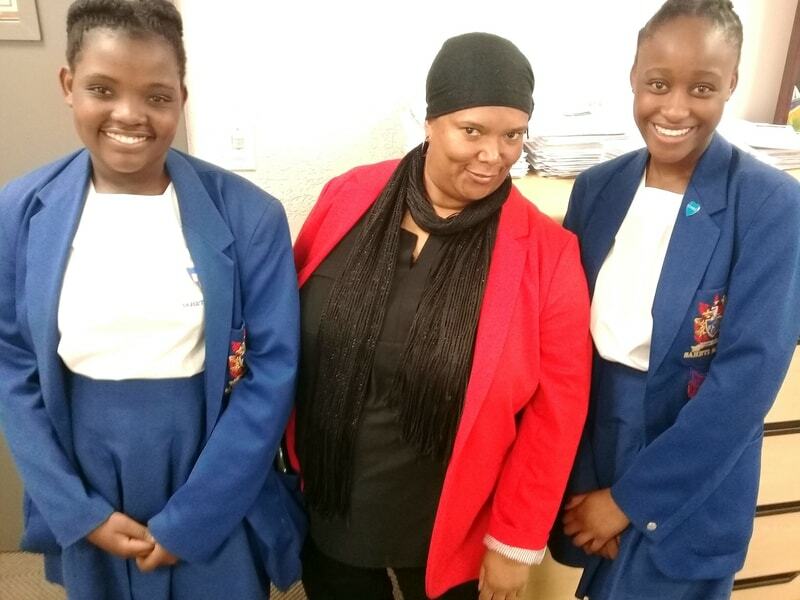 Lehlogonolo class of 2004, Yolanda class of 2005, Tshegofatso Class of 2016. 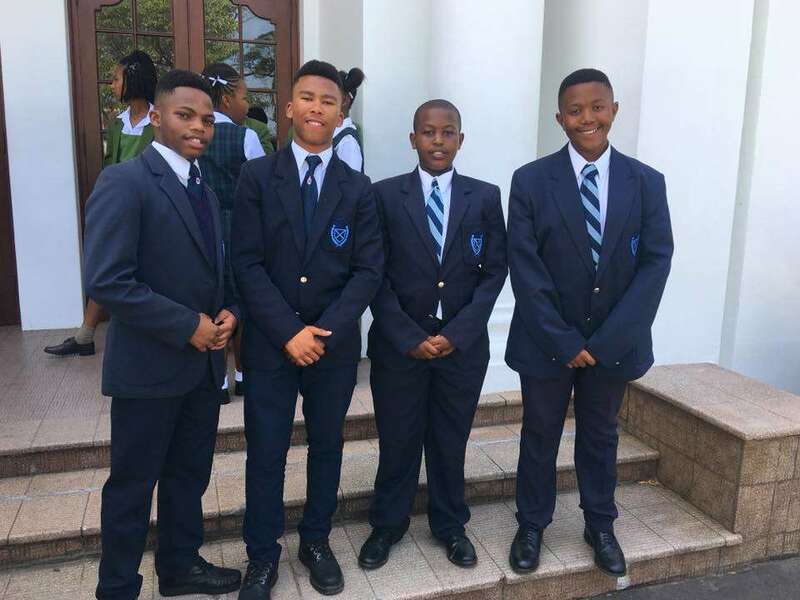 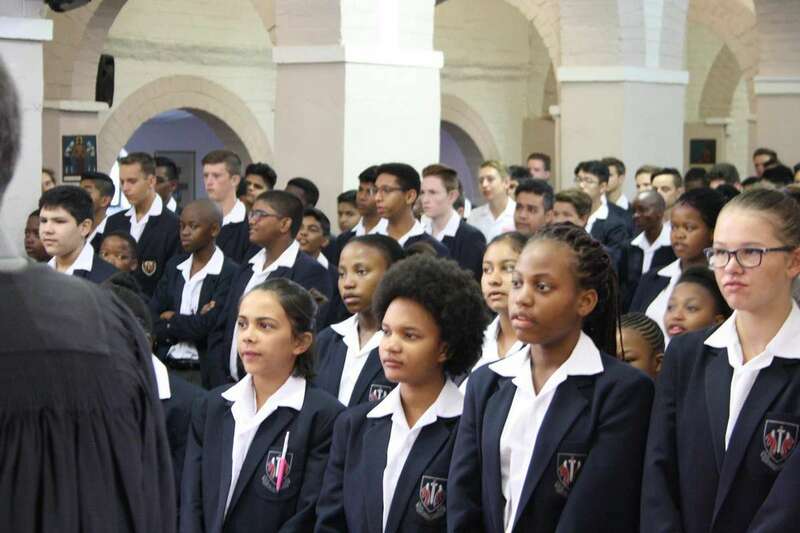 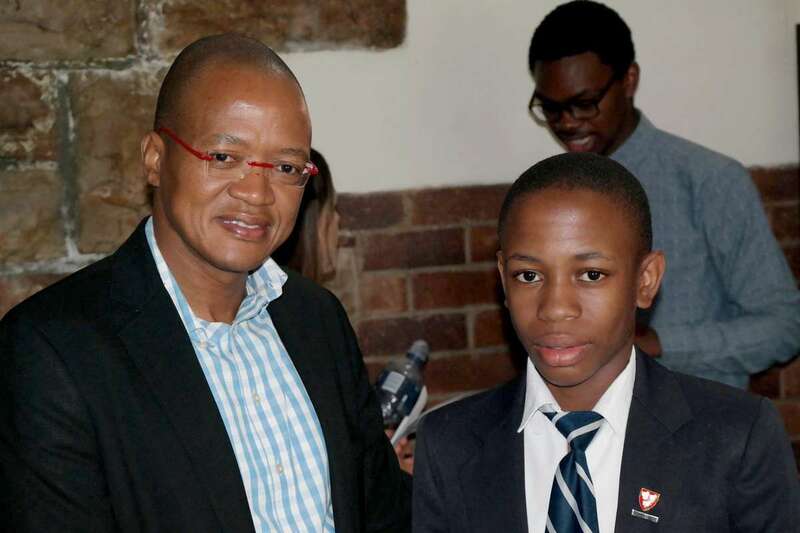 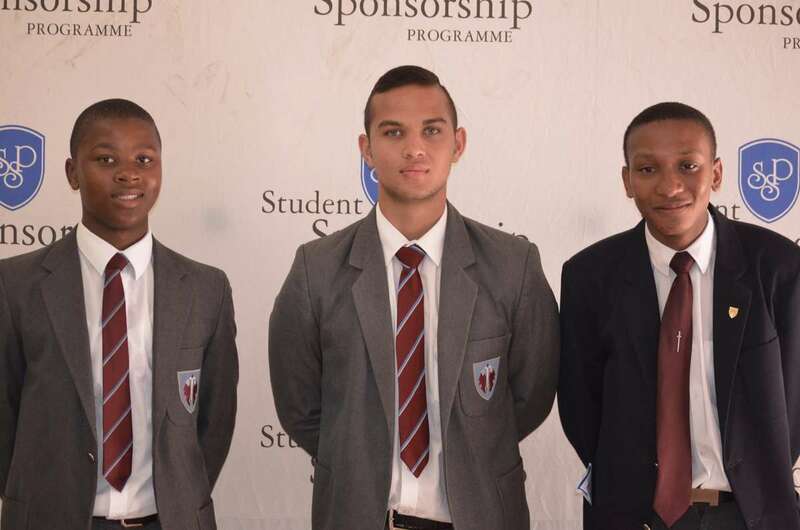 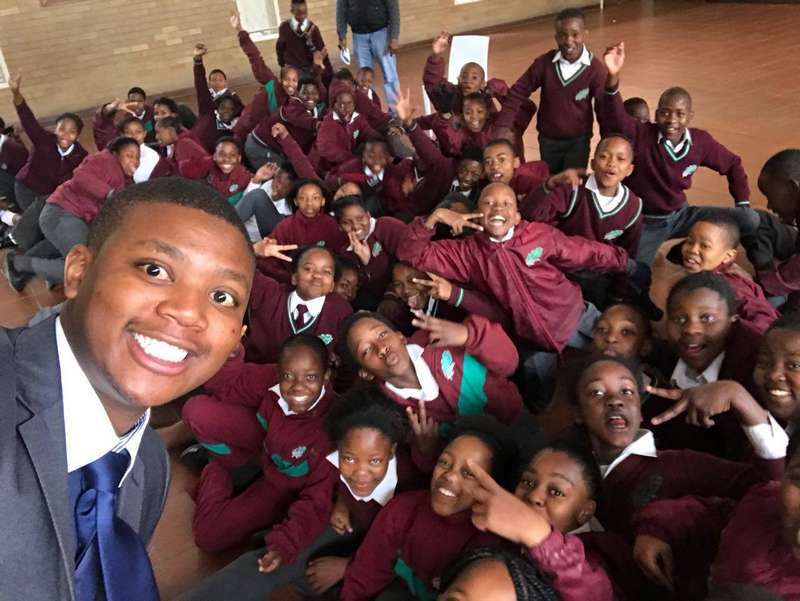 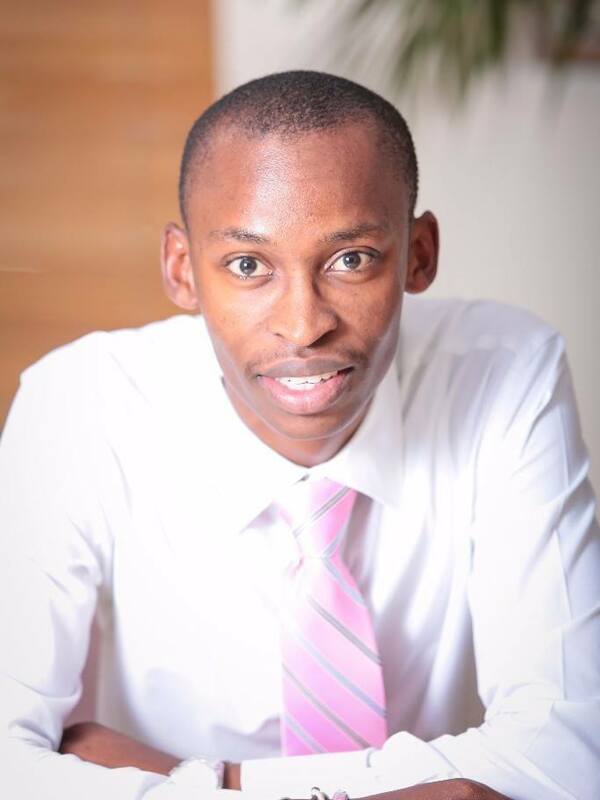 Thebe Tsatsimpe (SSP Class of 2006) and Redhill School. 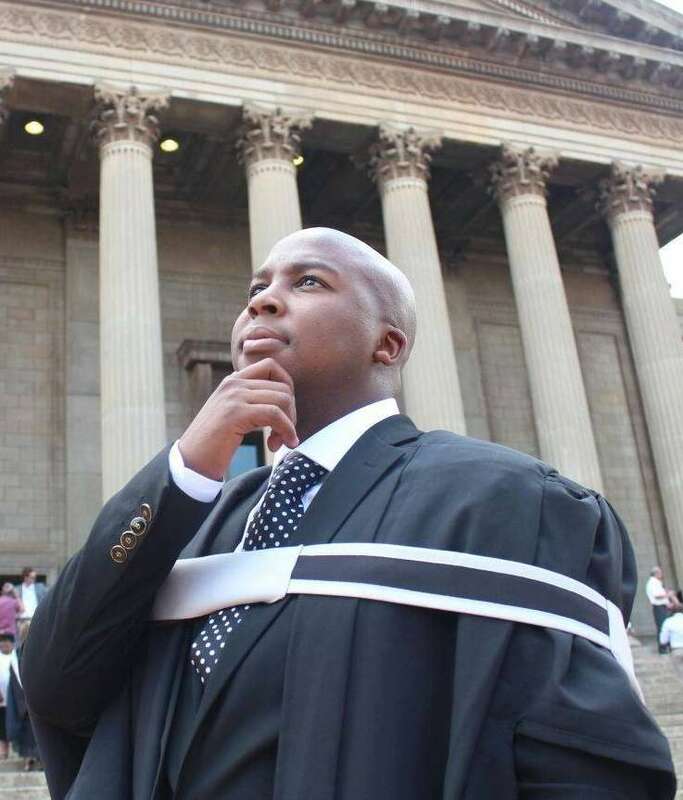 Thebe obtained his undergraduate degree in Mathematics and Economics, Amherst College. 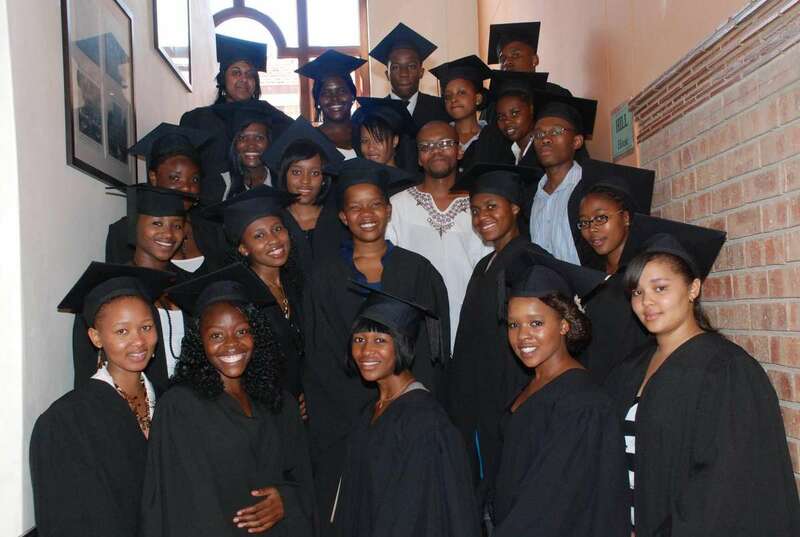 Dr Tatolo Bobo.an SSP KING EDWARD VII School Class of 2008. 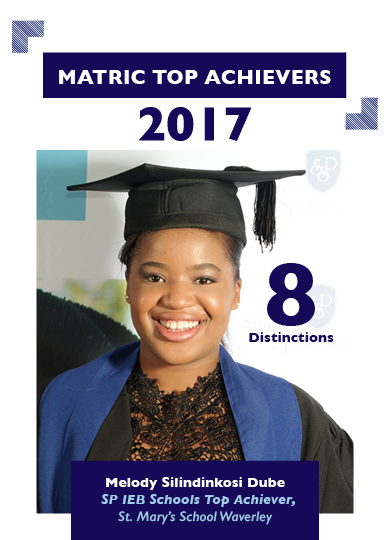 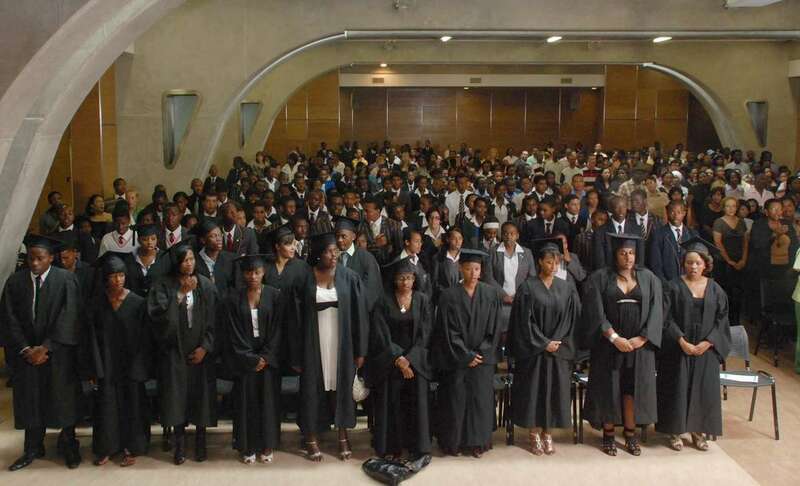 Studied Bachelor of Medicine and Surgery (MBBCh) at Witwatersrand. 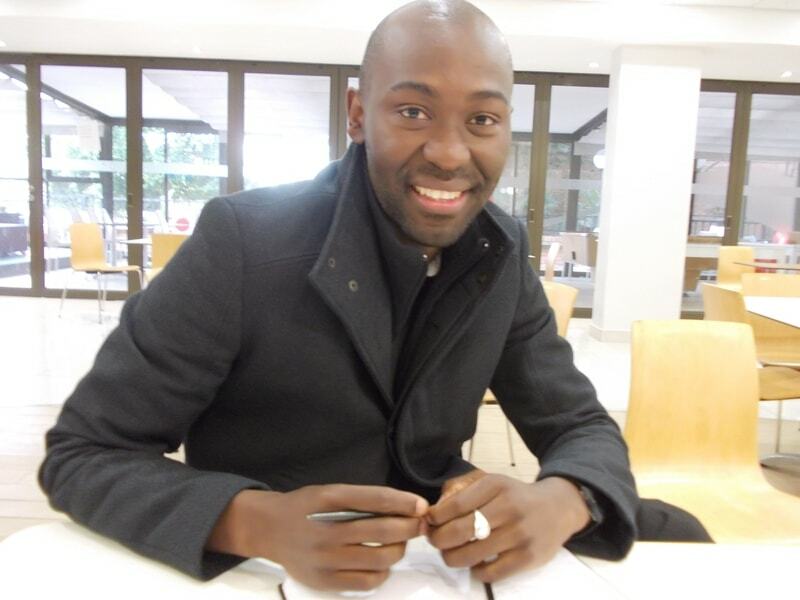 He is a Medical Officer at Edenvale Hospital.